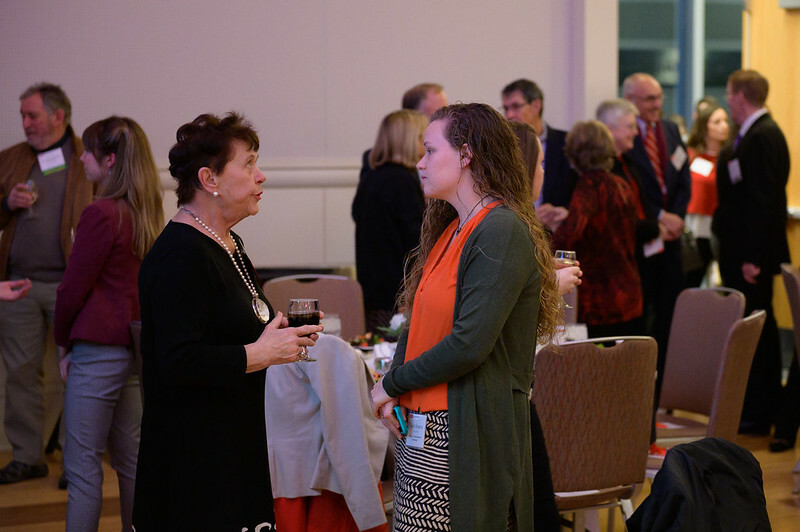 An evening that began with handshakes and formal introductions evolved into sharing personal stories over a meal. 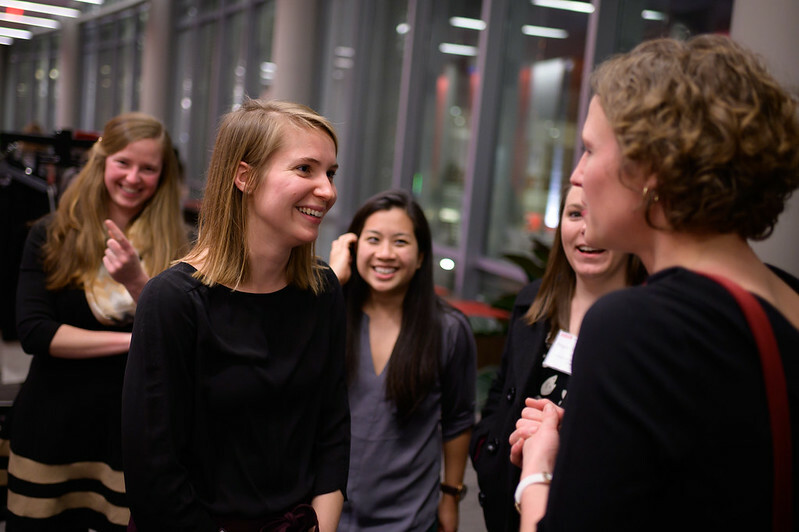 Formality gave way to familiarity, ending with easy laughter, promises to keep in touch and a few hugs. 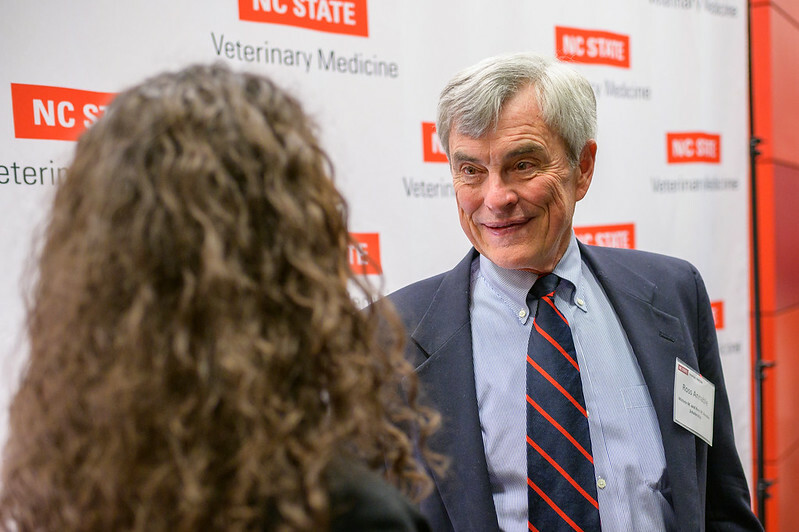 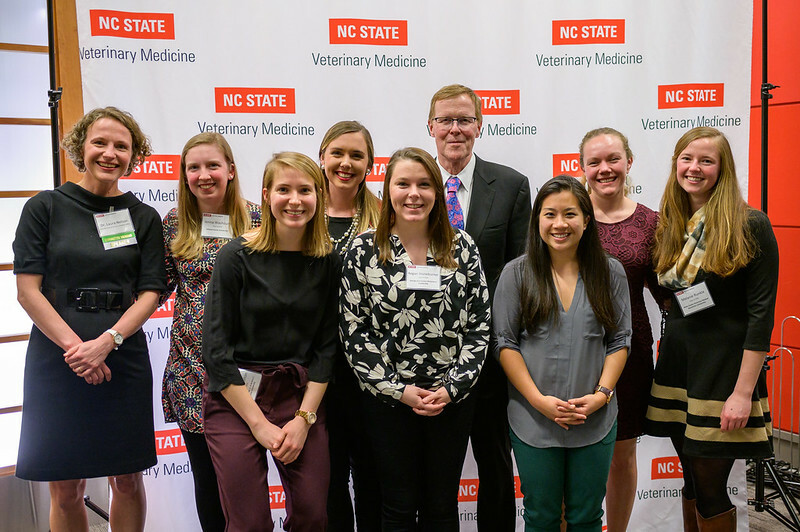 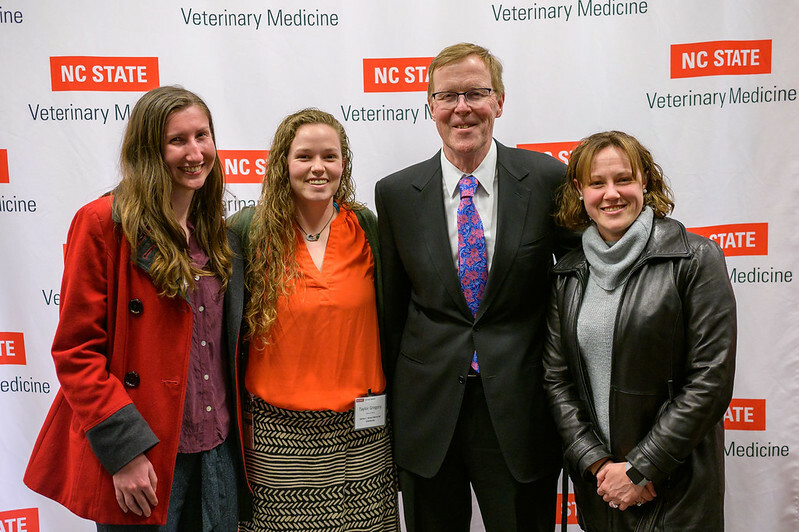 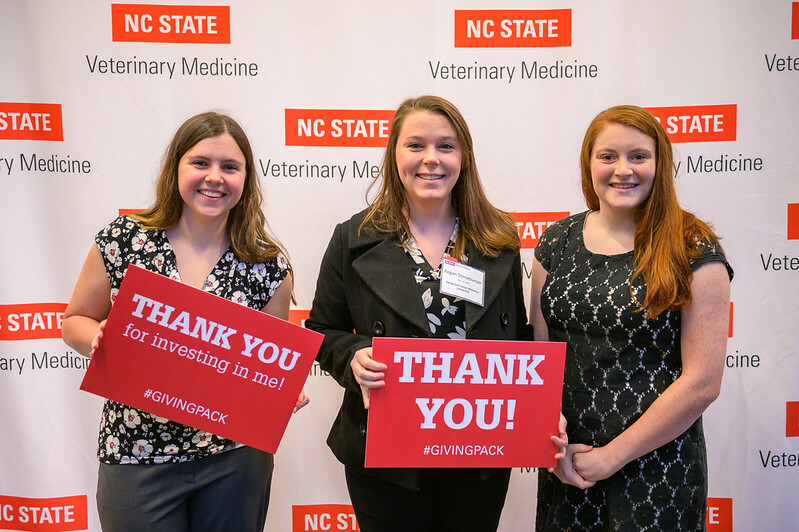 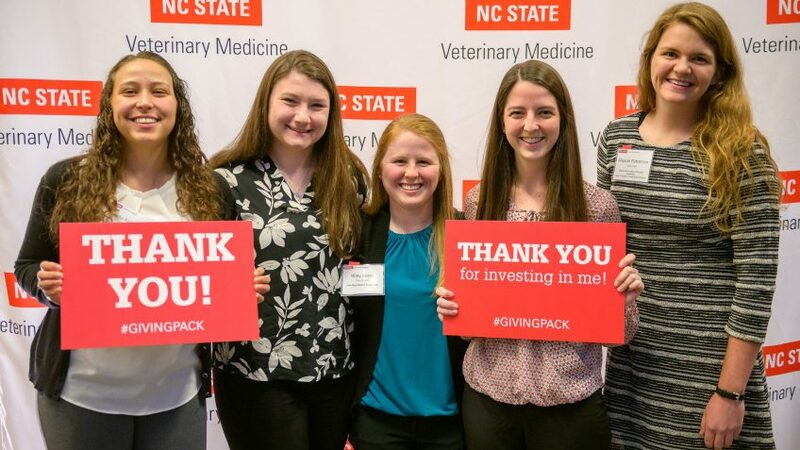 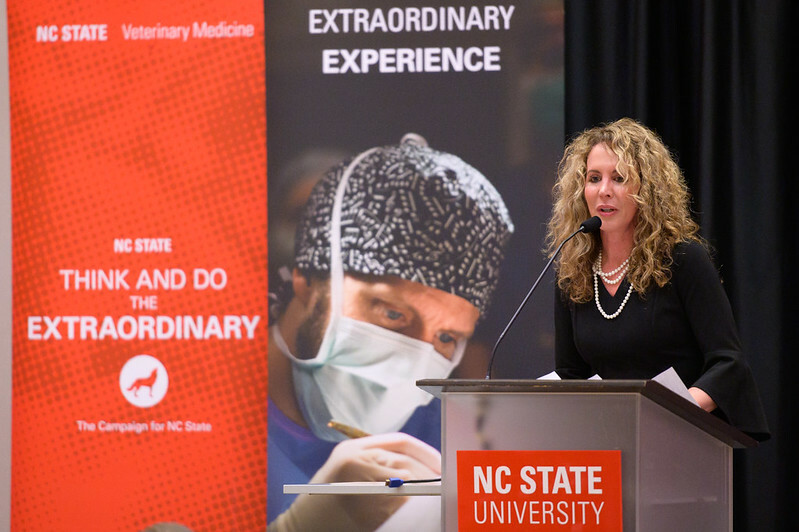 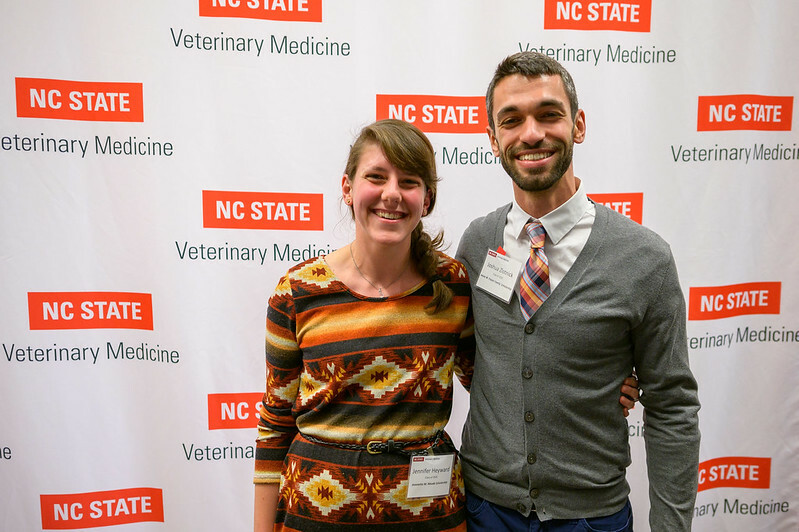 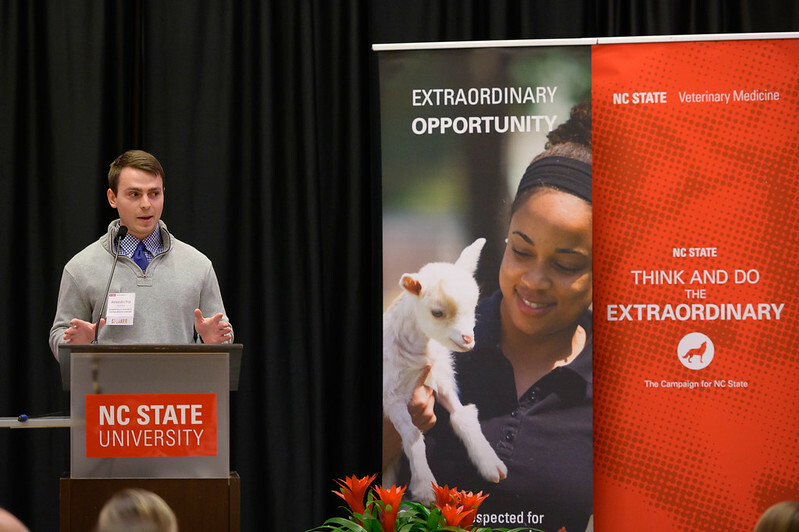 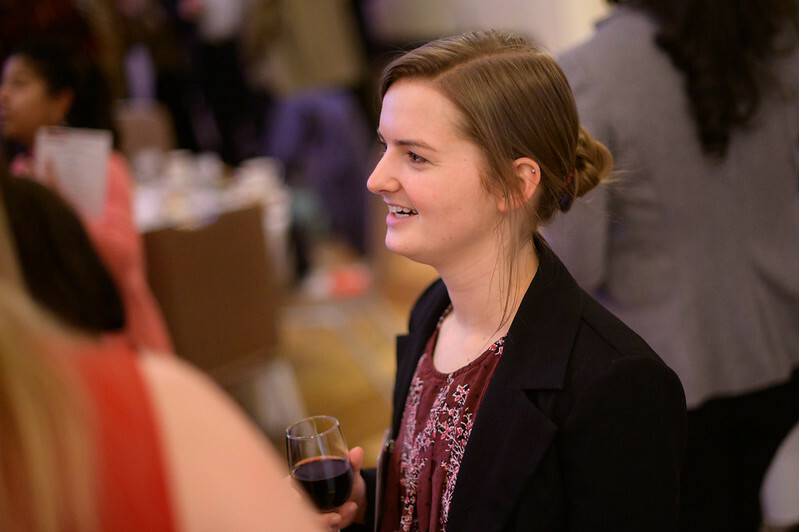 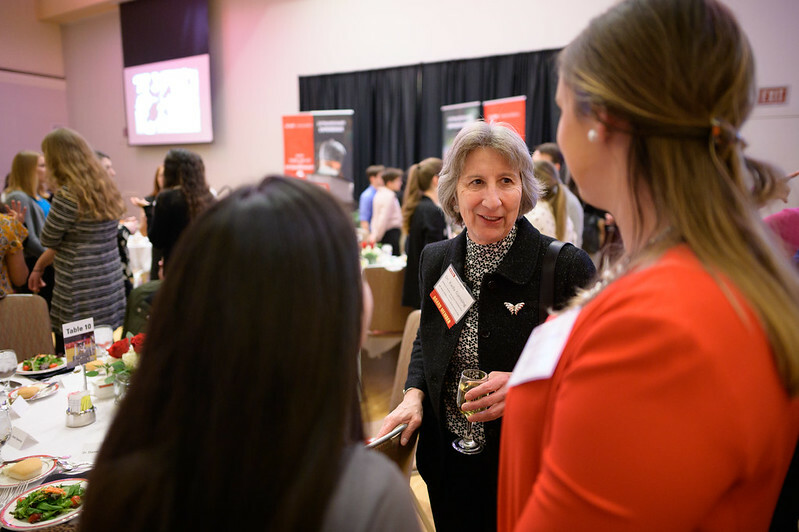 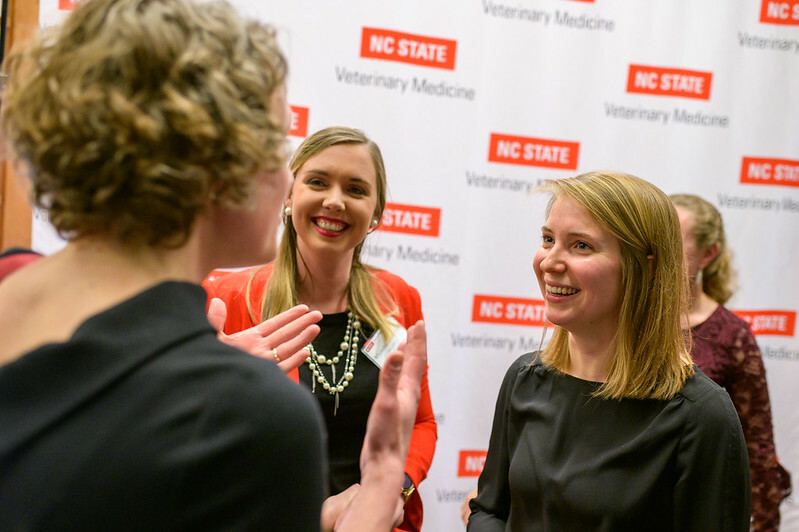 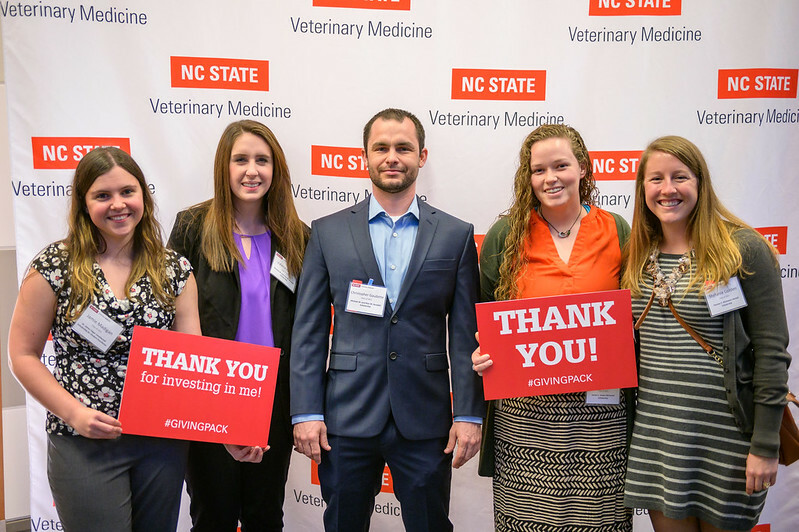 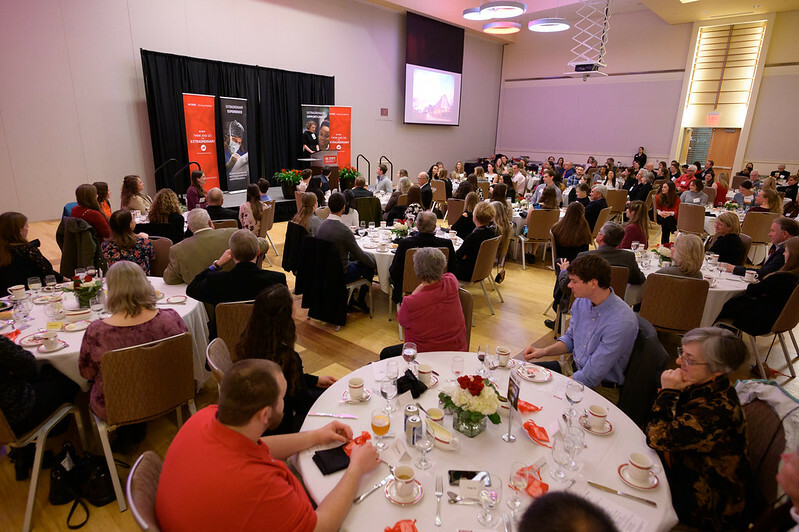 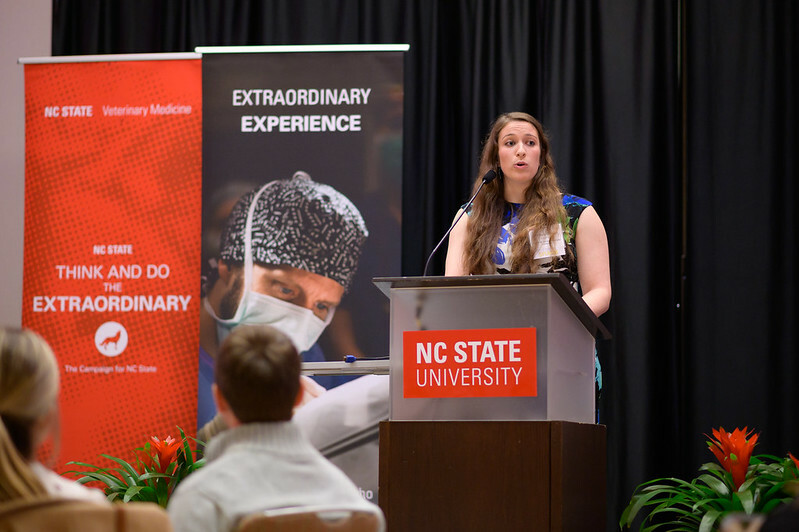 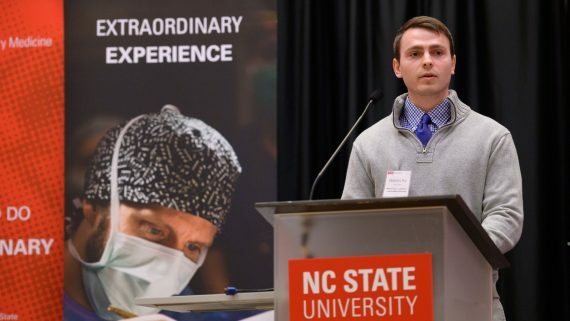 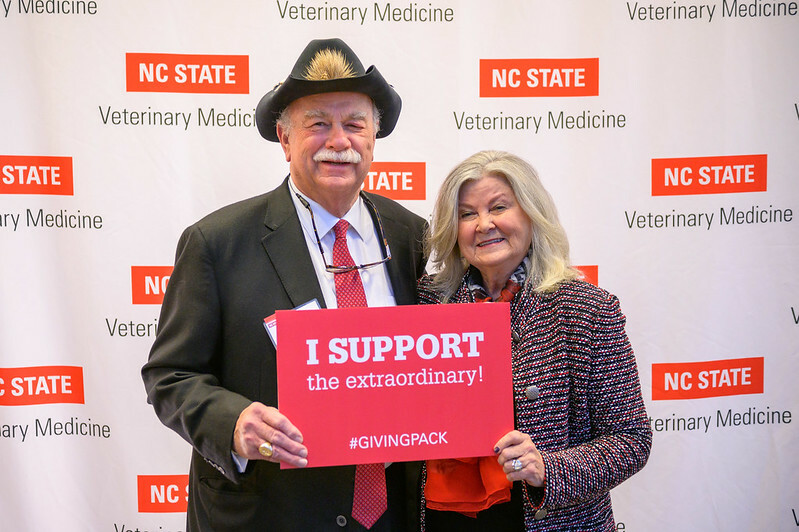 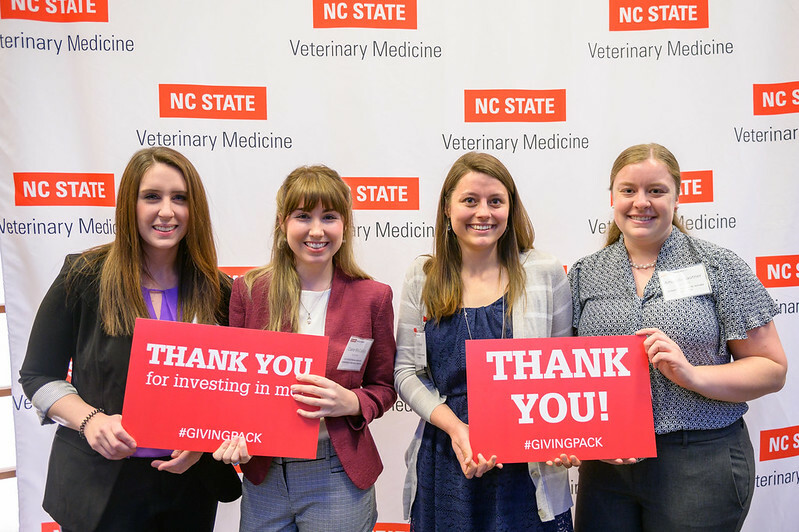 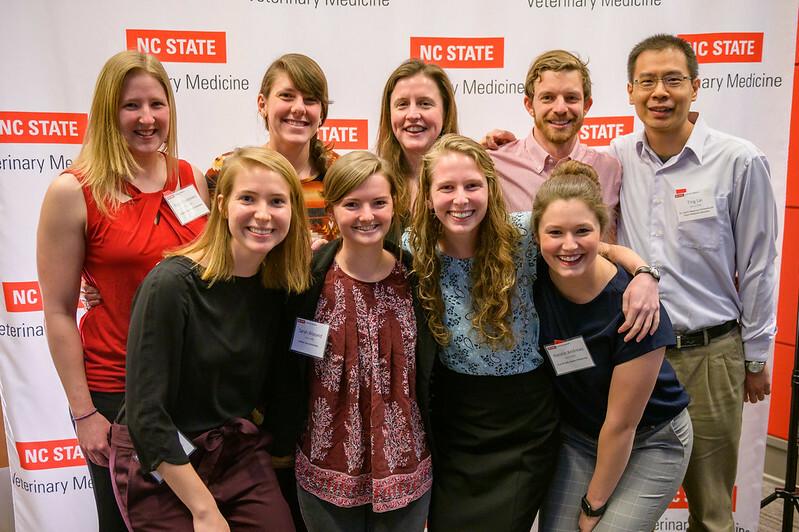 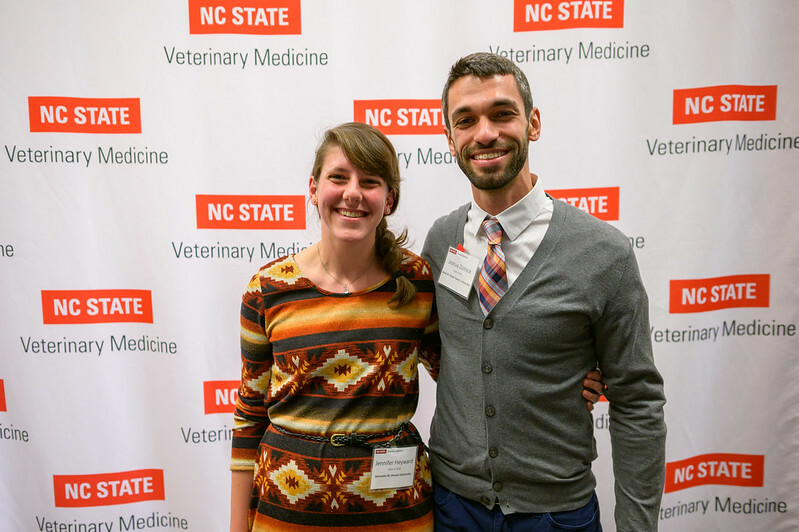 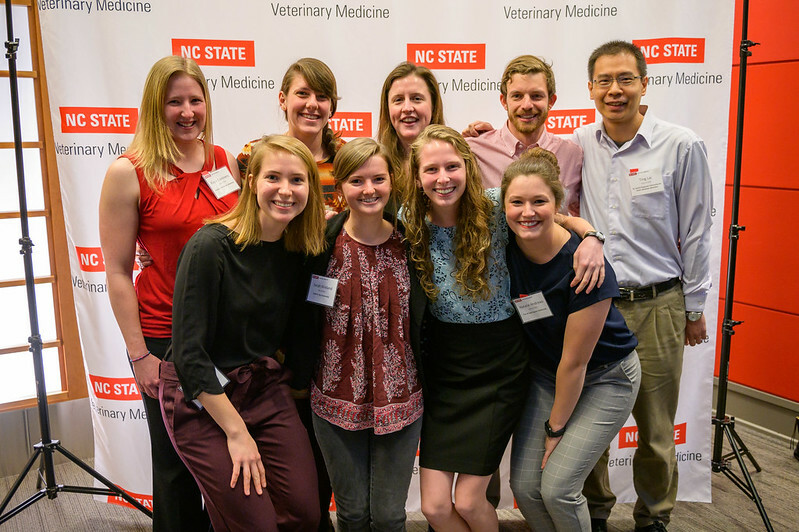 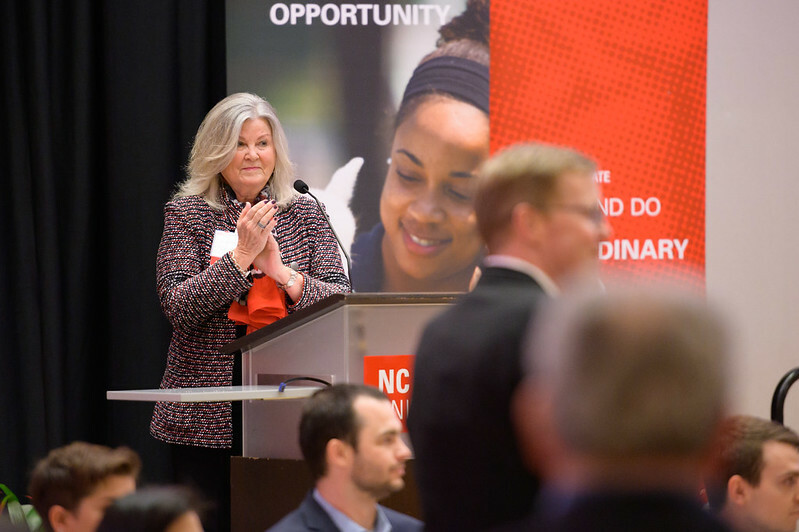 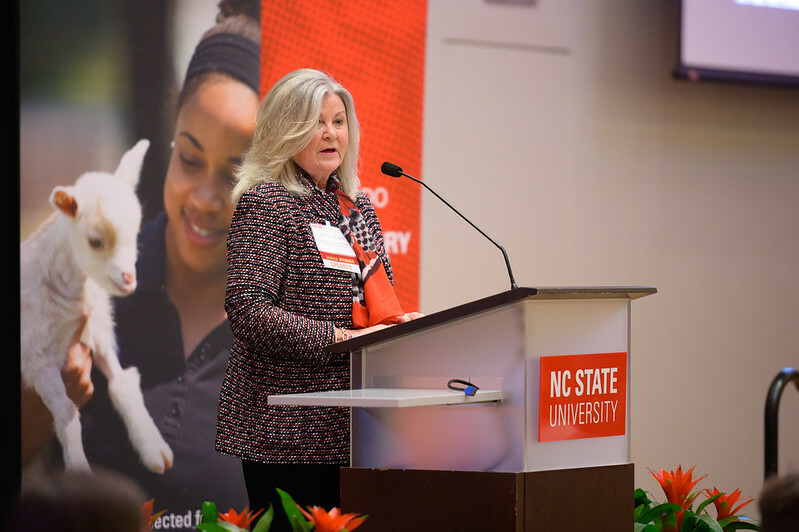 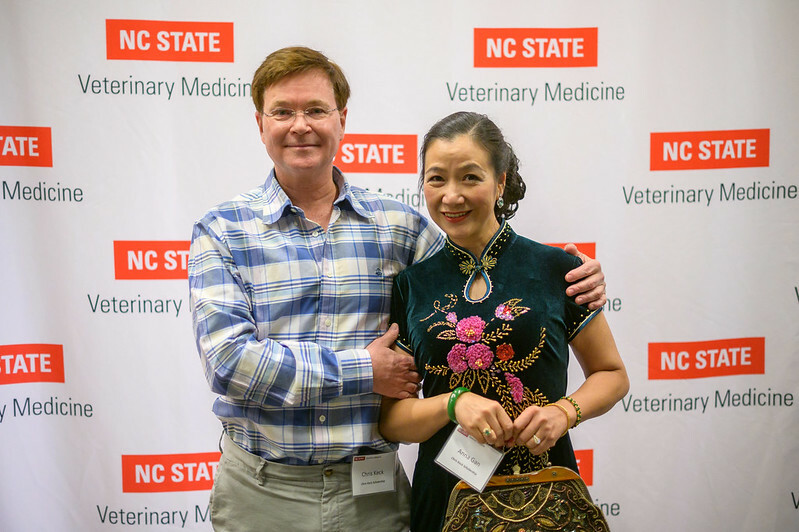 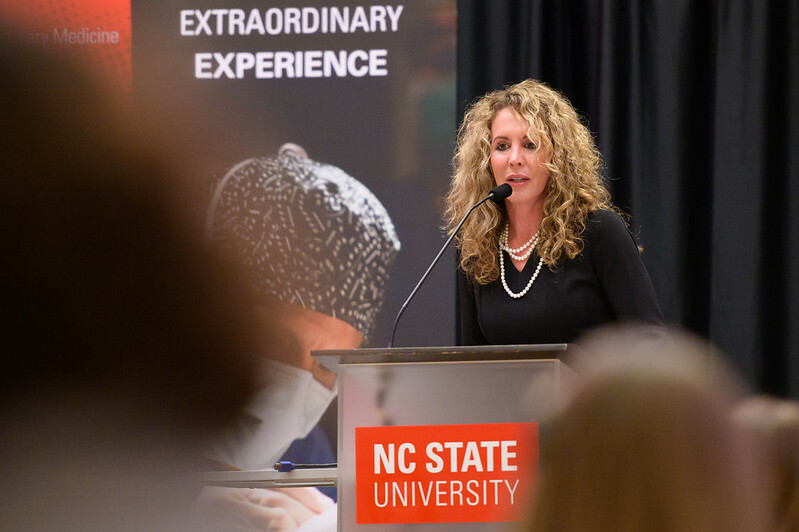 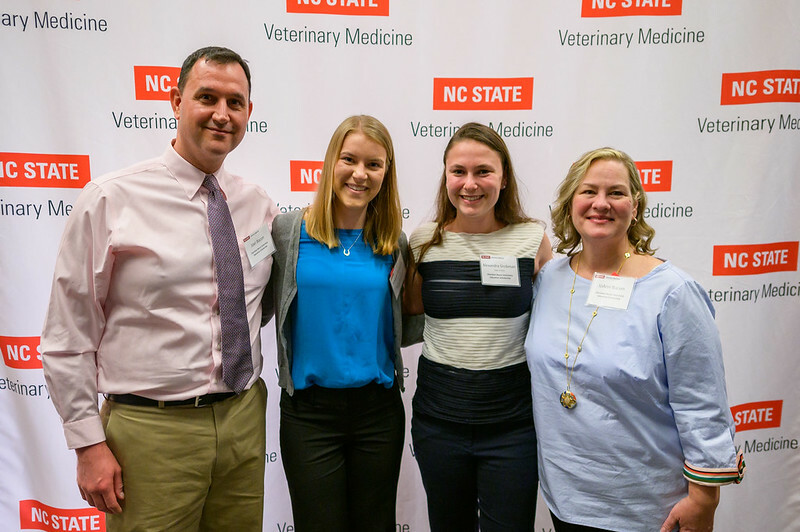 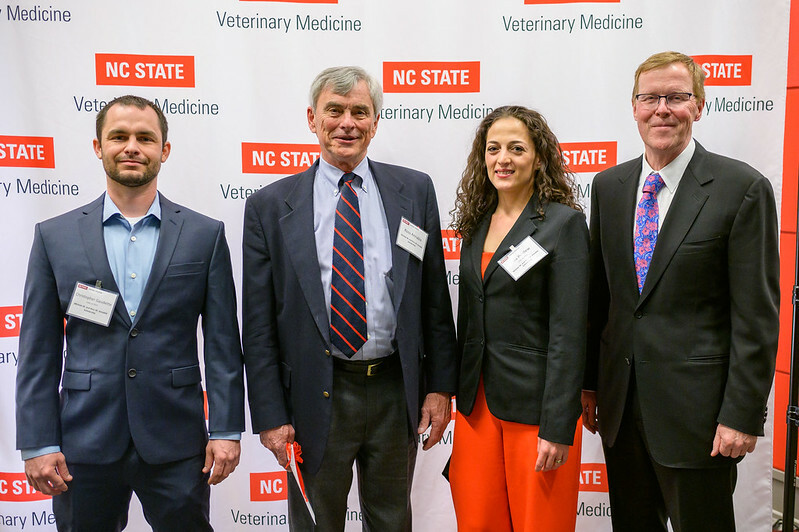 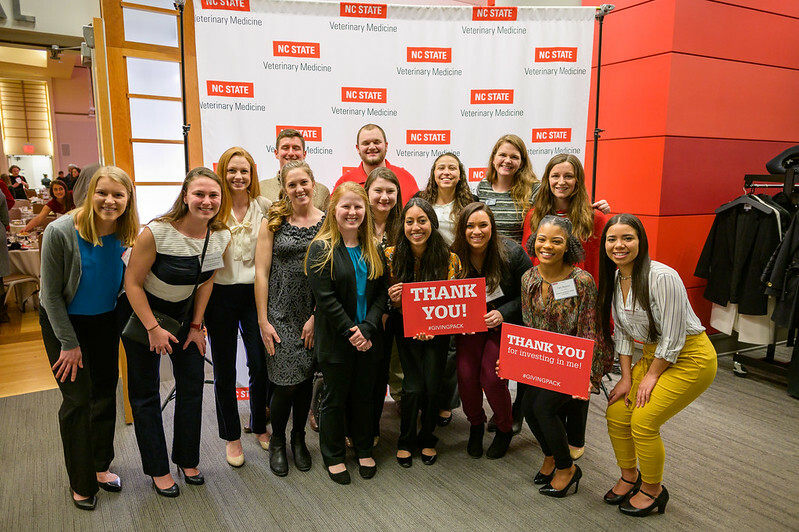 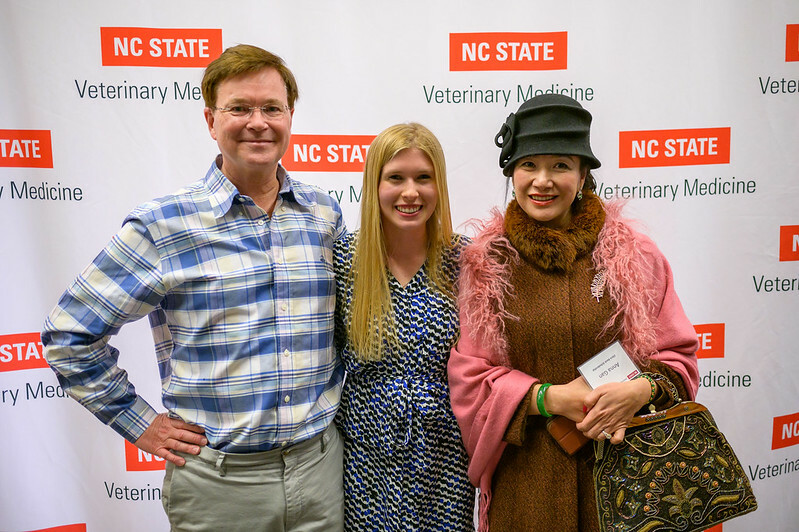 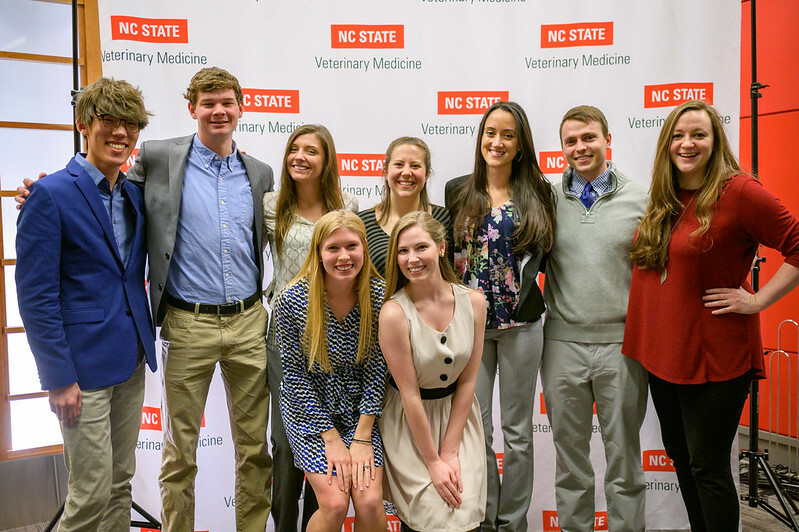 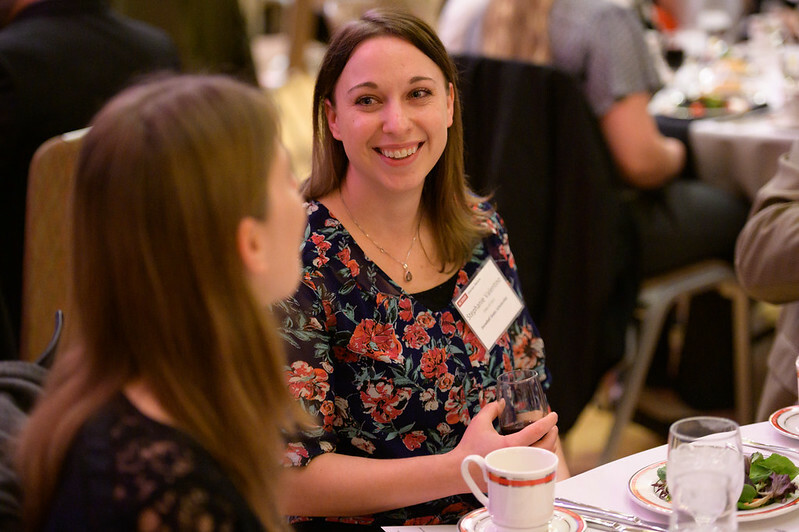 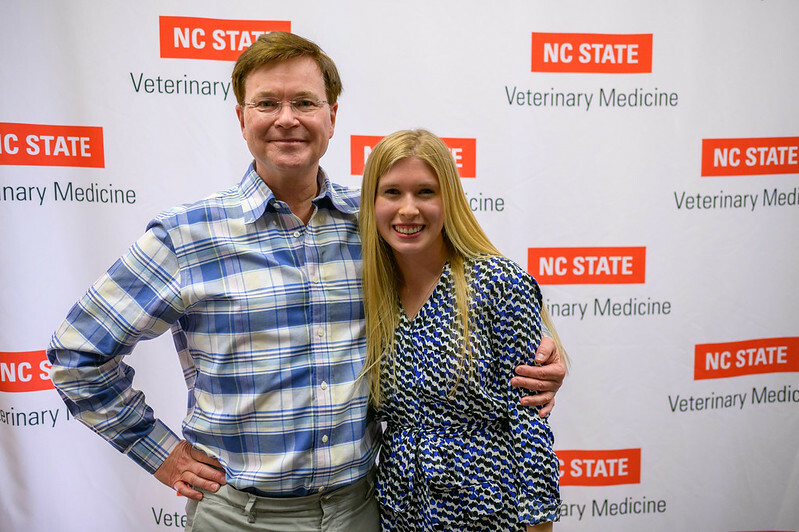 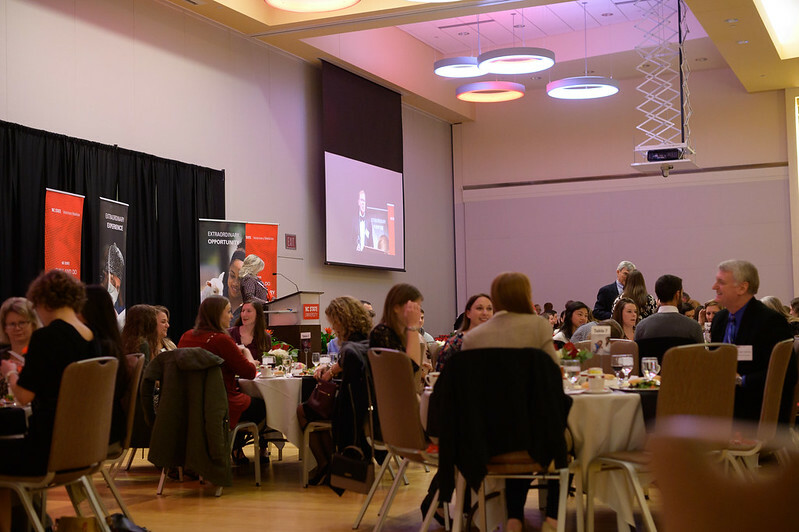 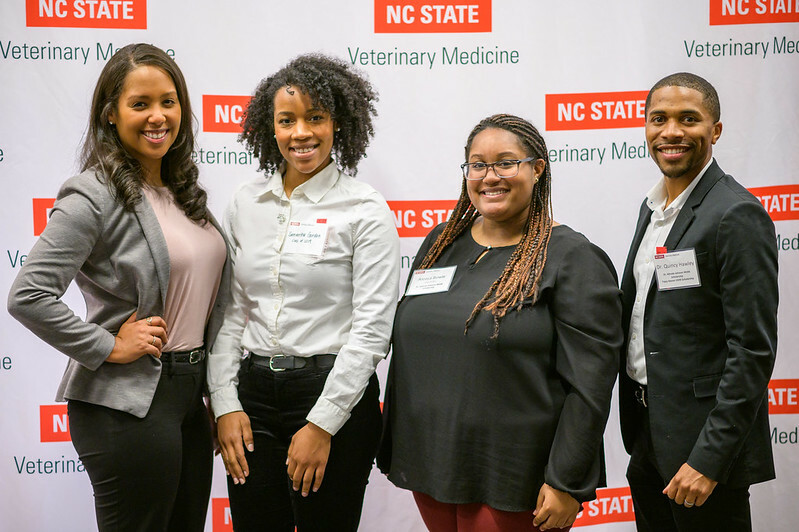 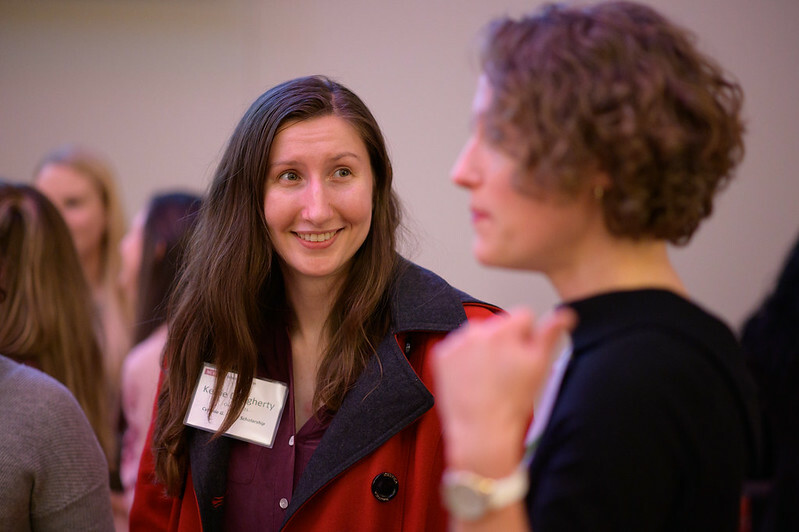 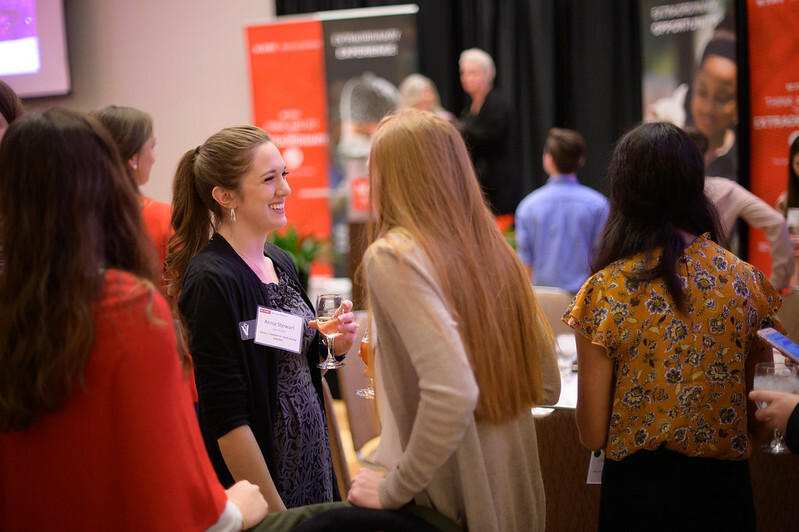 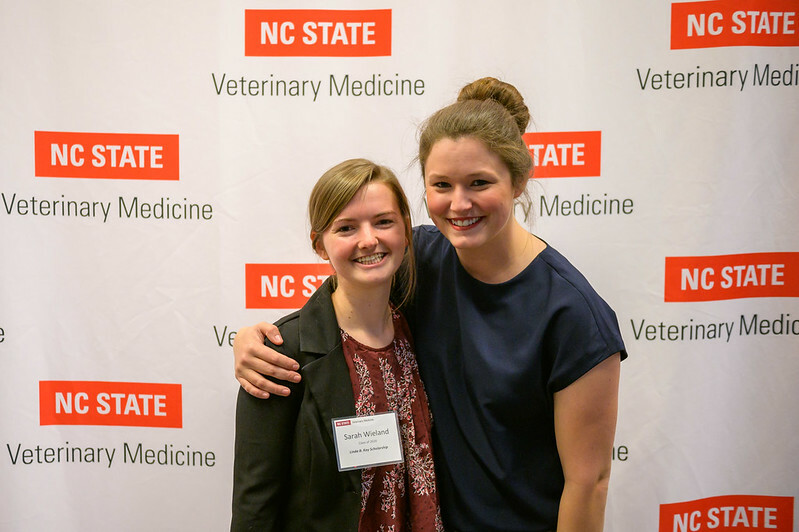 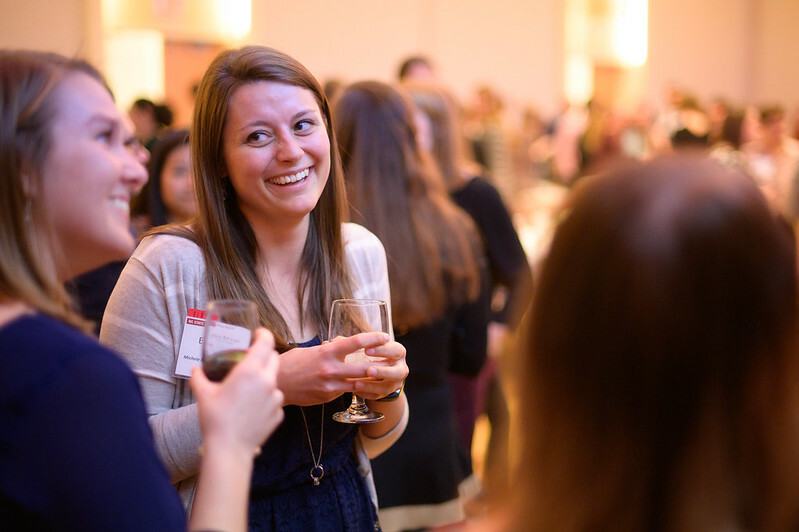 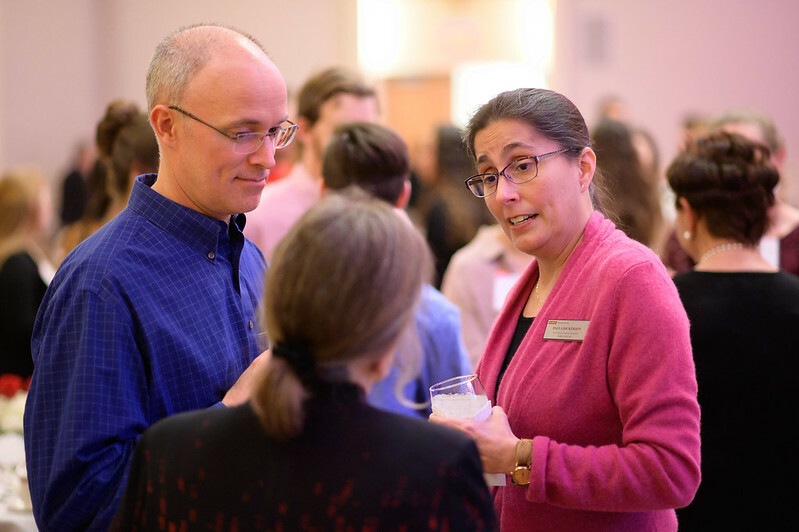 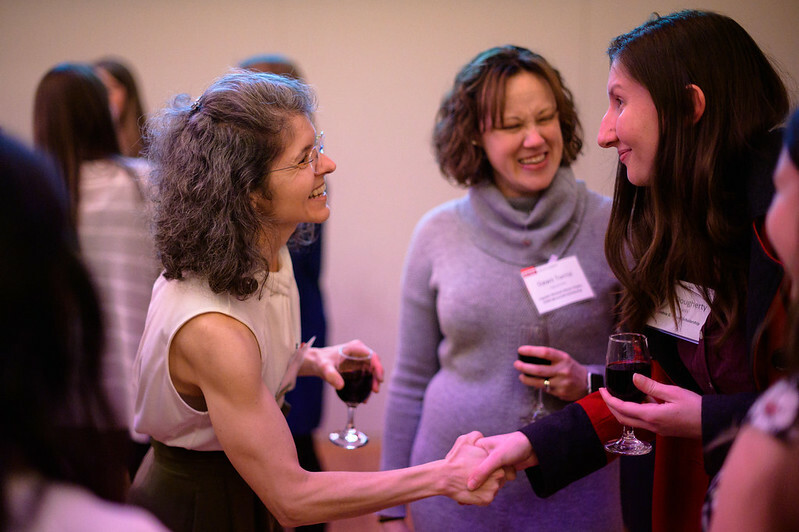 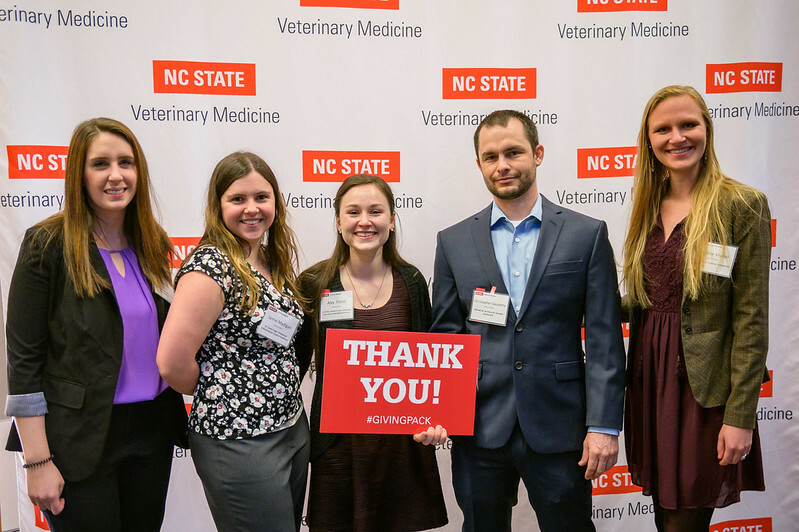 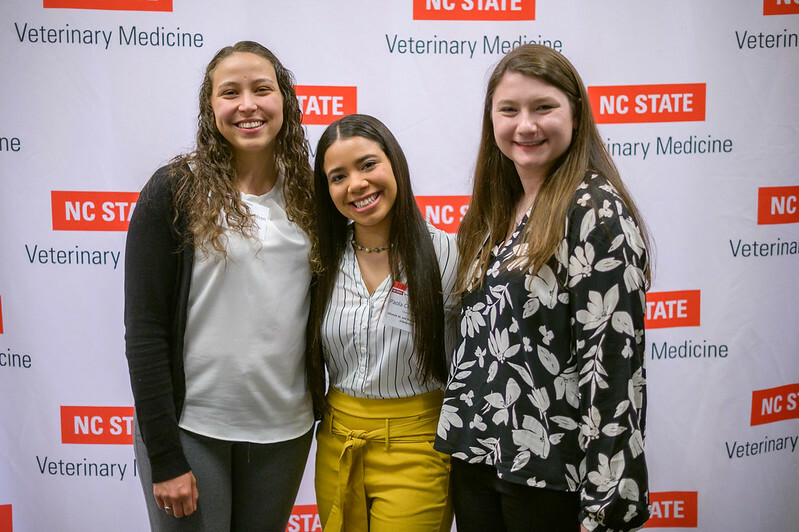 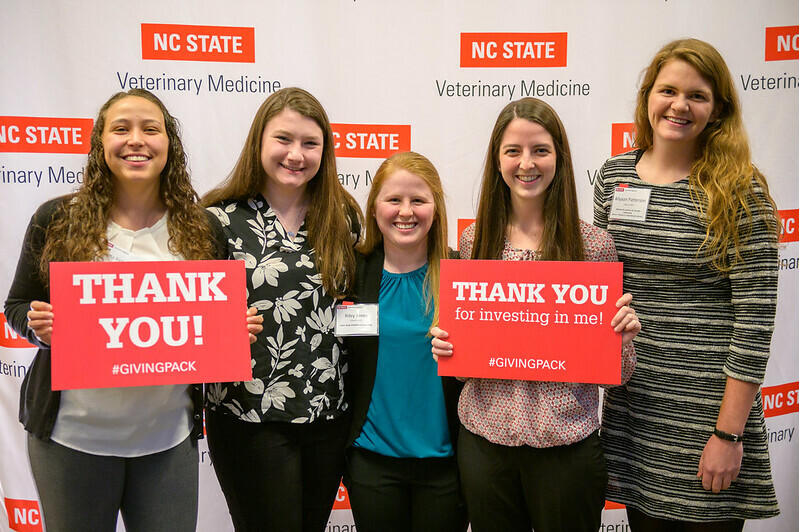 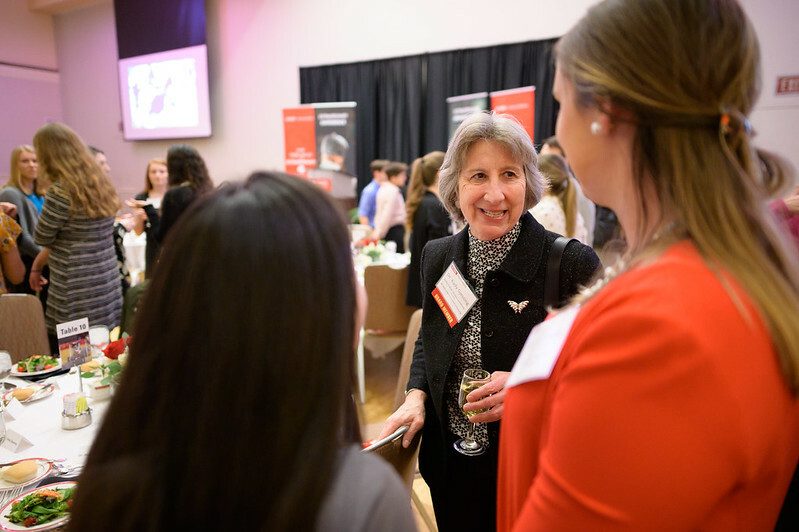 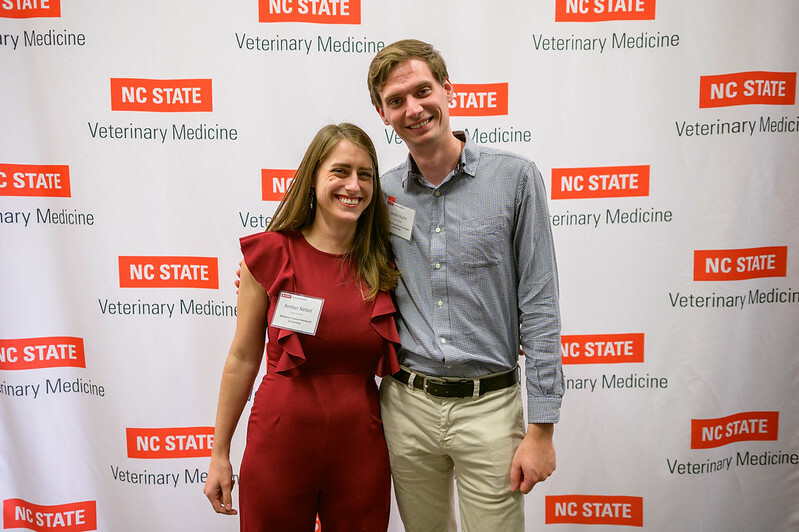 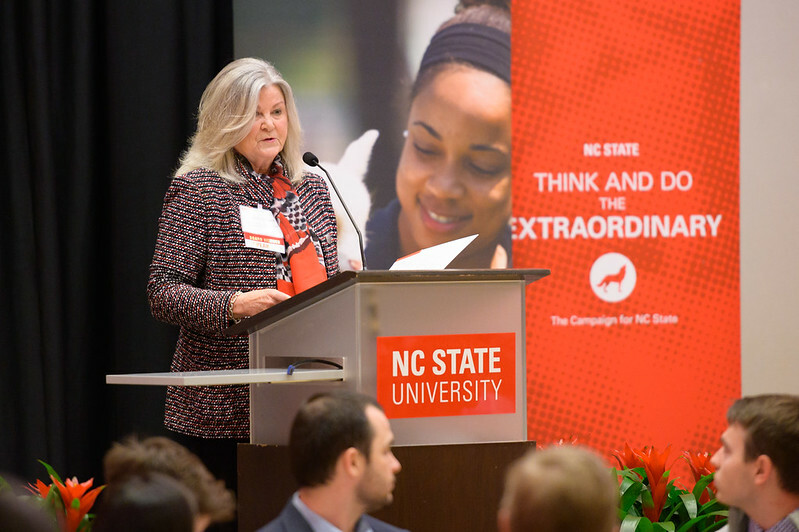 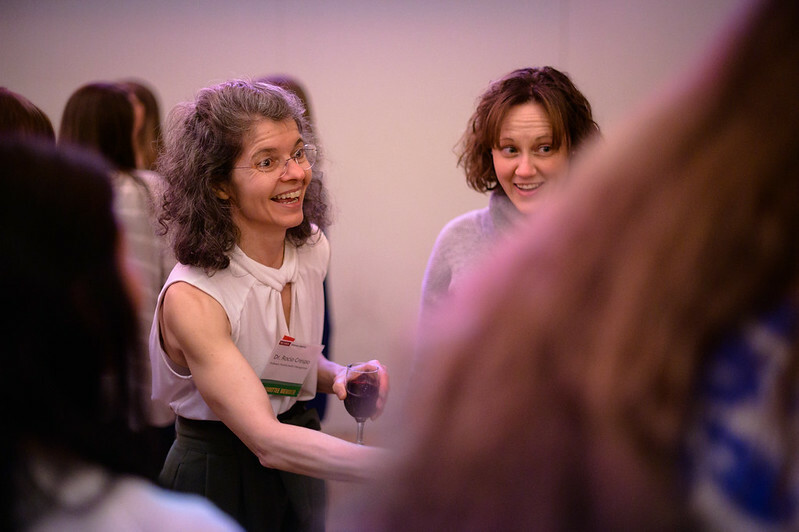 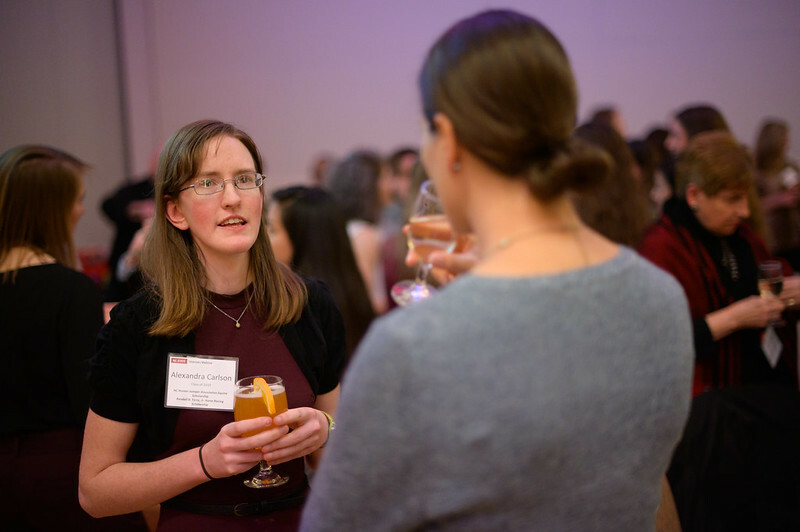 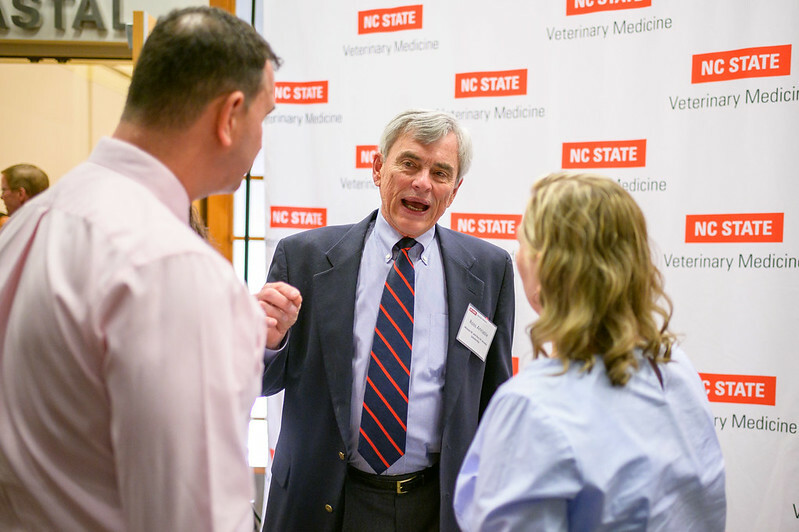 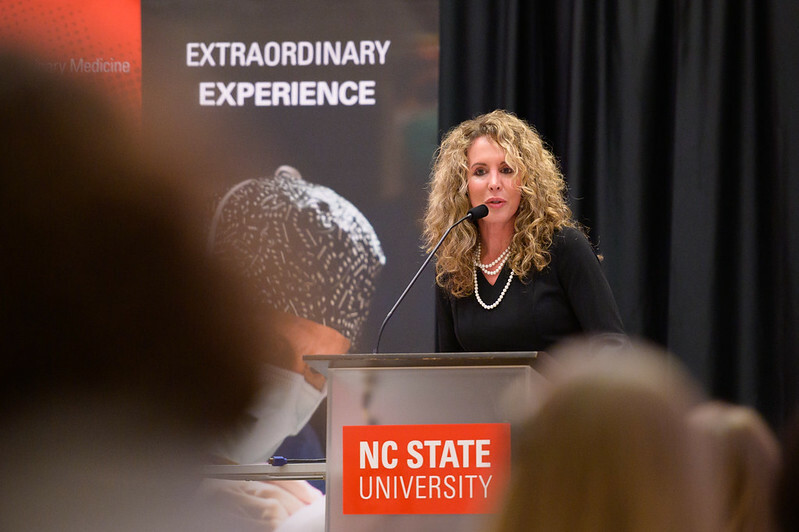 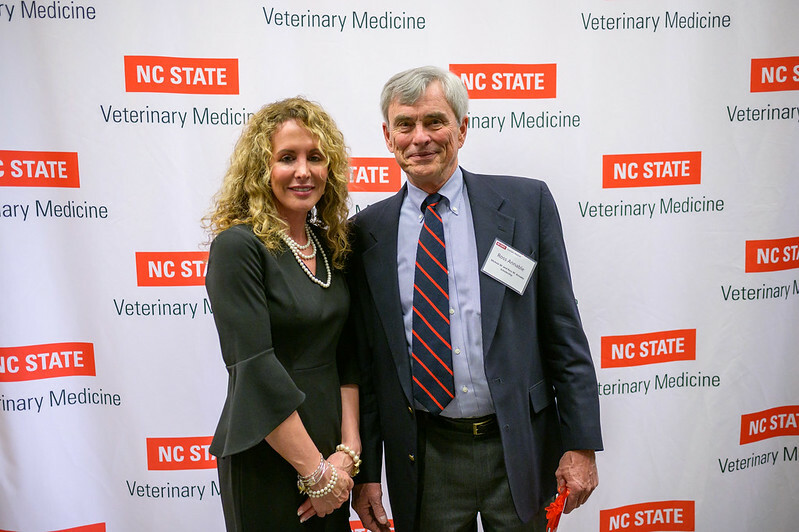 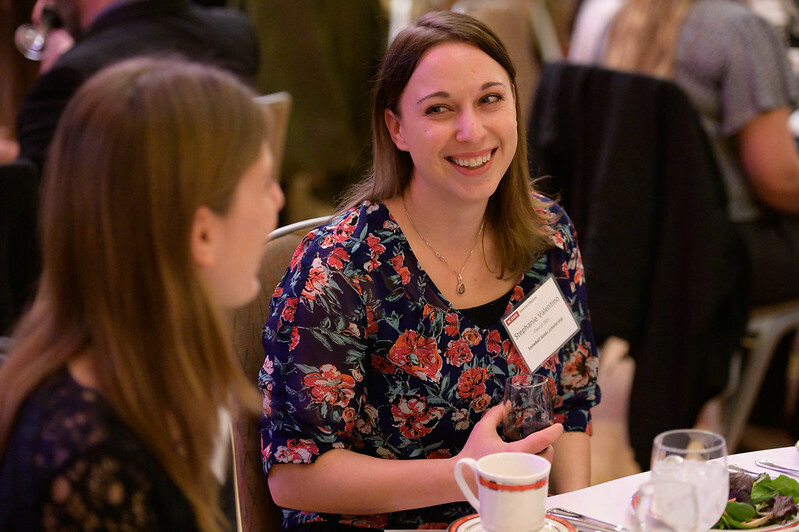 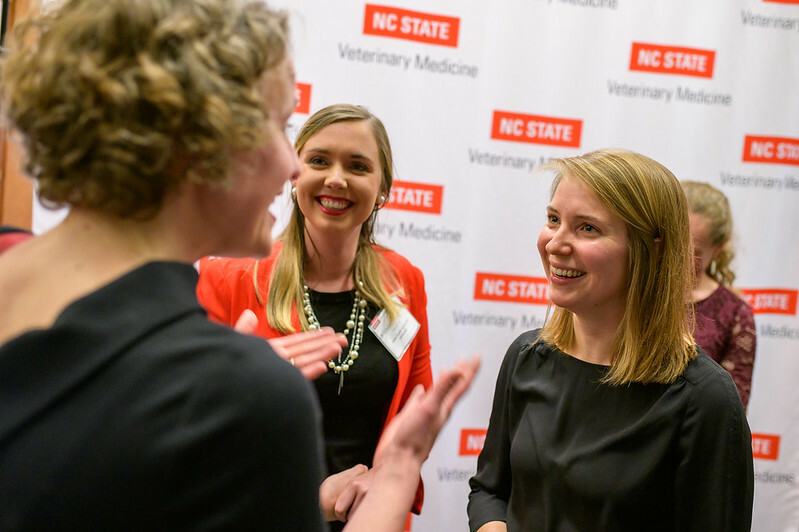 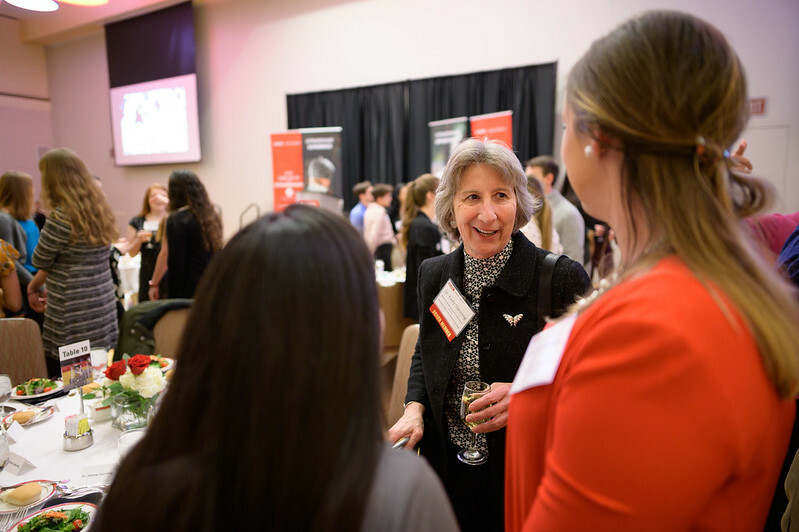 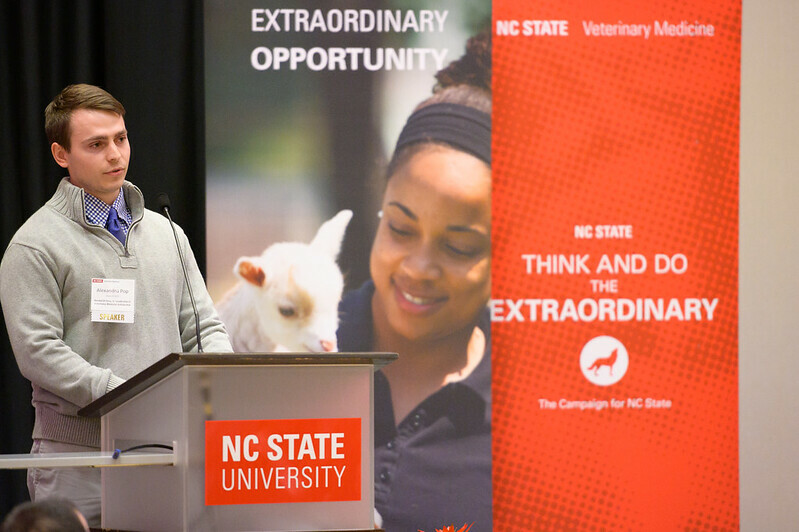 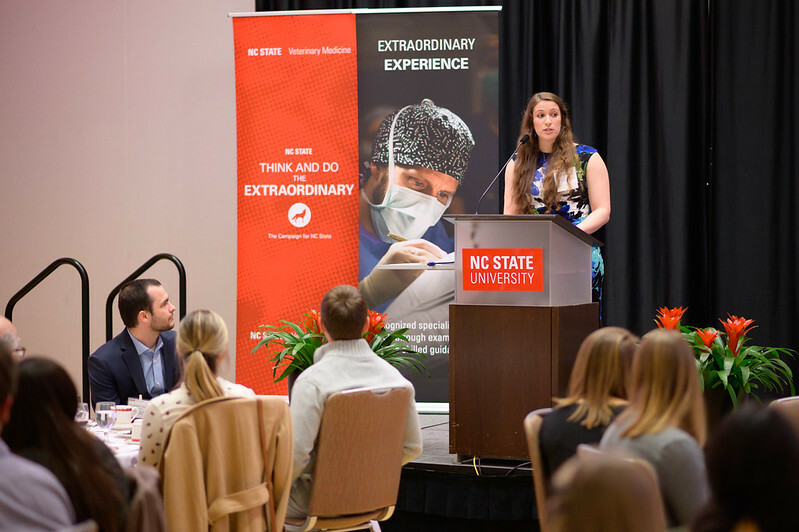 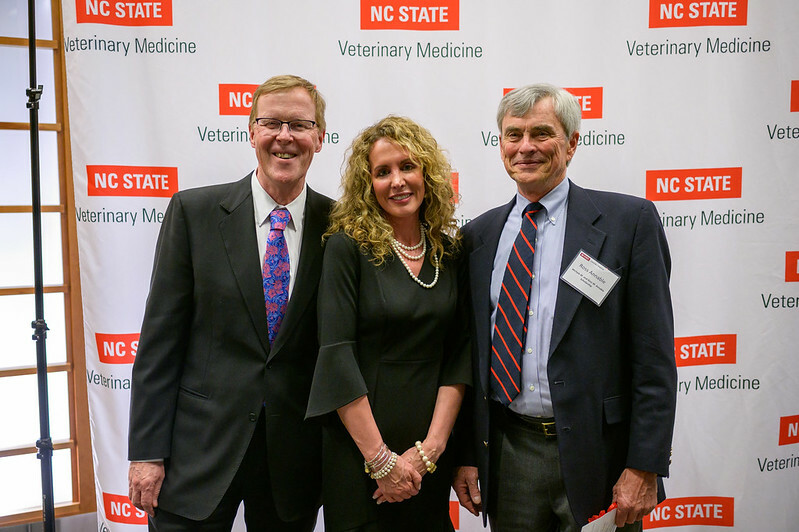 At February’s annual scholarship dinner hosted by the North Carolina Veterinary Medical Foundation, NC State College of Veterinary Medicine students were able to spend time with the donors who help make their education possible. 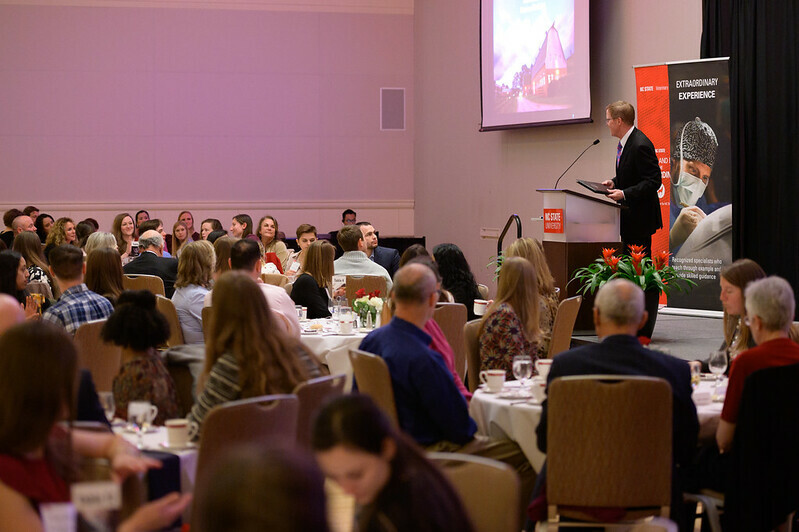 Students thanked the generous benefactors who have made such a positive impact on their lives. 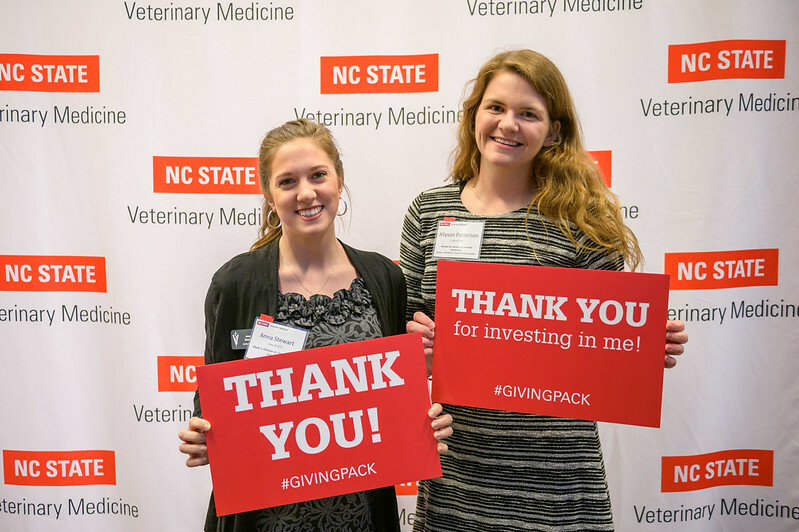 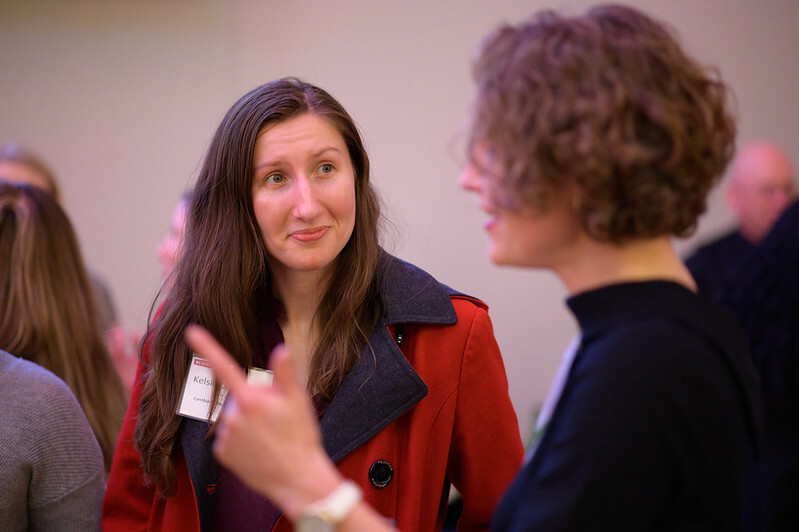 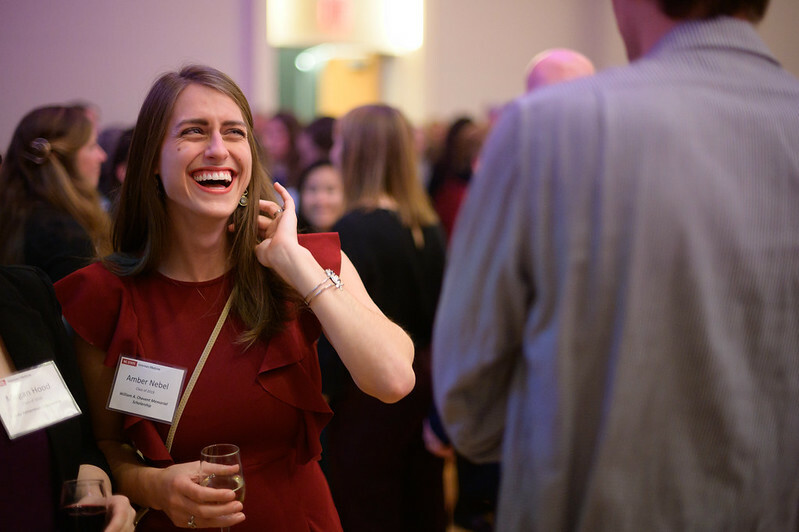 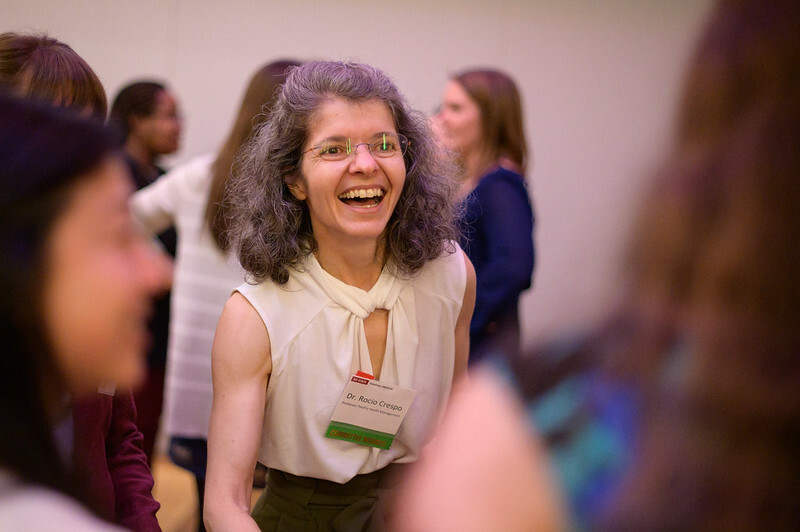 Donors get to know who their support is helping — future leaders who will advance the frontiers of veterinary medicine. 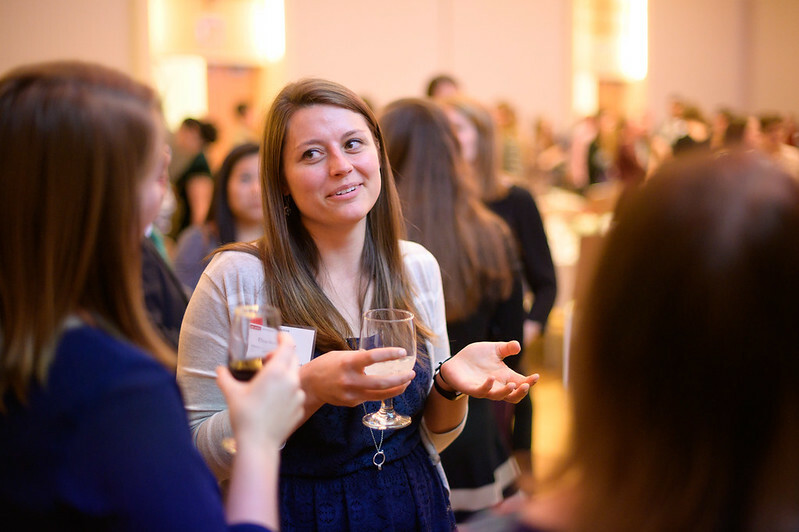 “As Chayah would have said, ‘be radically generous in love,’” she said. 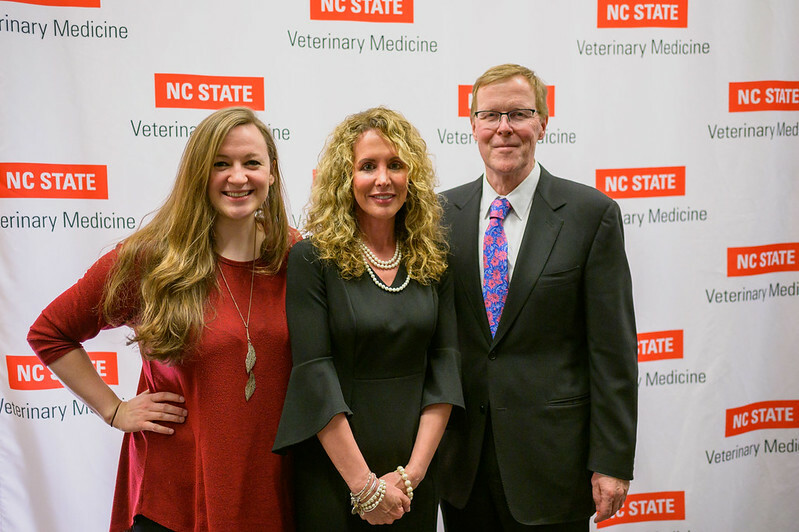 Mallory Brown, a recipient of the Michele M. and Ross M. Annable Scholarship. 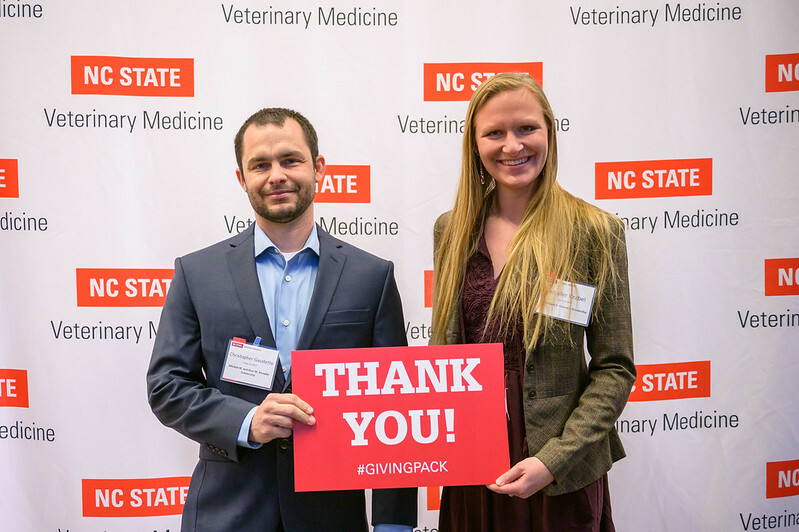 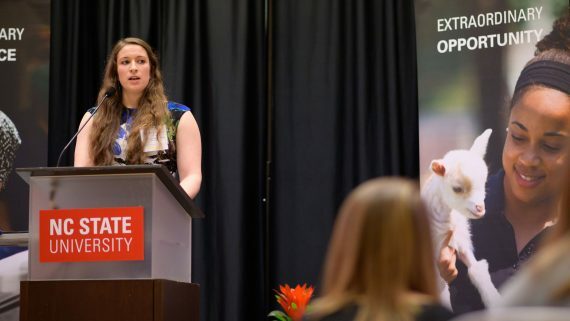 Student speakers and scholarship recipients Mallory Brown, of the Class of 2021, and Alexandru Pop, of the Class of 2019, spoke about their individual journeys toward careers in veterinary medicine and the life-changing impact of scholarships. 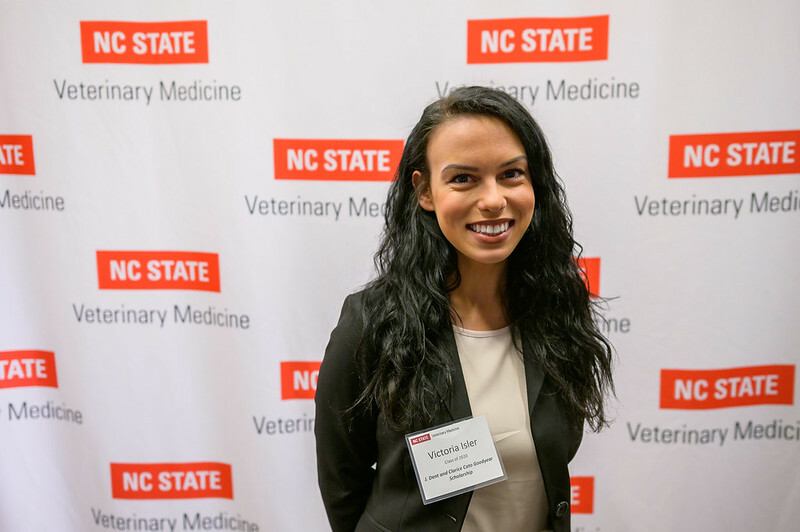 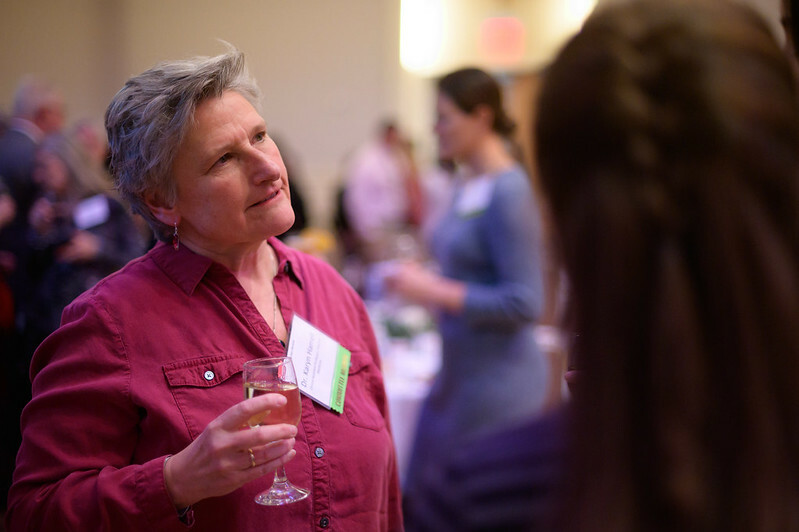 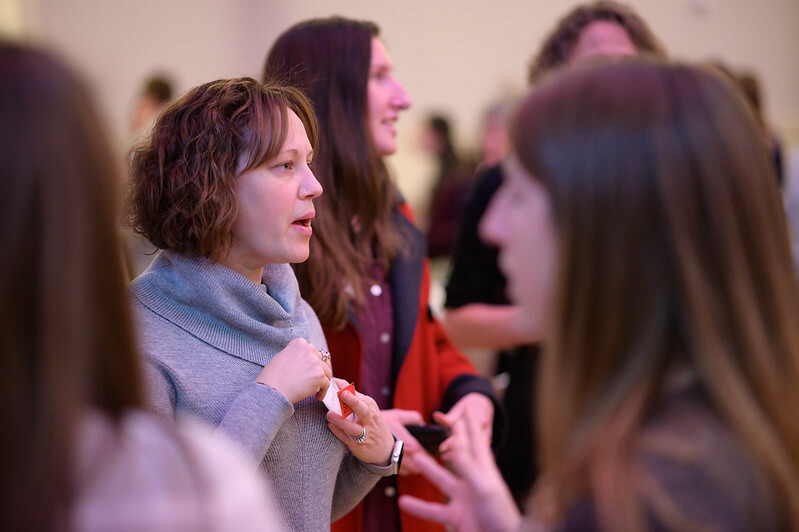 Brown, a recipient of the need-based Michele M. and Ross M. Annable Scholarship that covers up to half the cost of student tuition and fees, described how she had wanted to be a veterinarian since she was 4 years old. 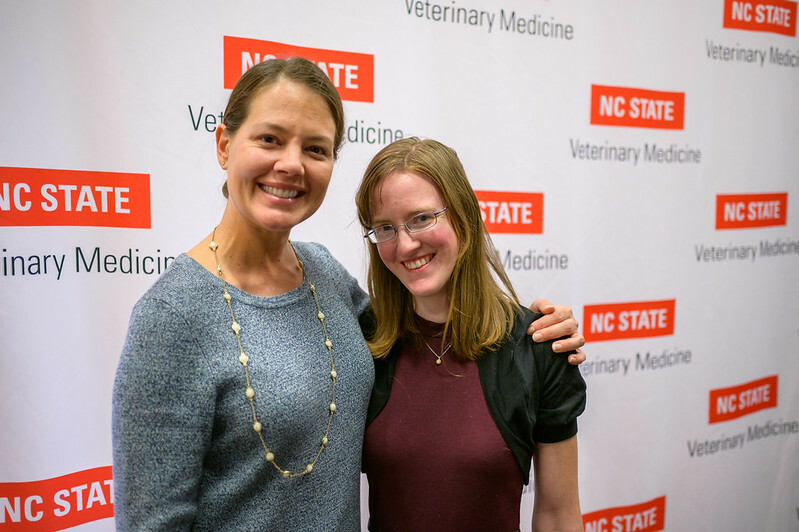 With her stuffed toy cat in tow, she informed her parents that she was going to “be an animal doctor” when she grew up. 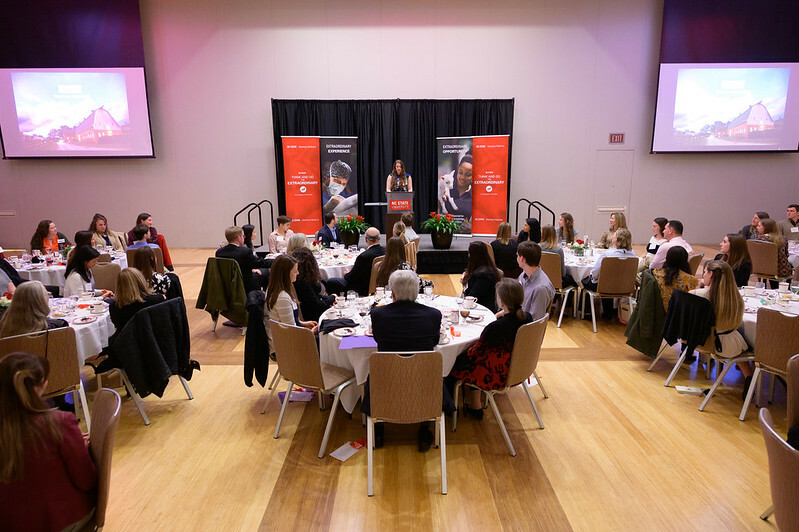 However, to make your dreams a reality, she added, “no matter how hard you work, you need friends, family and community.” She said that her scholarship has been invaluable, and she thanked the donors for transforming her early dreams into a real career. 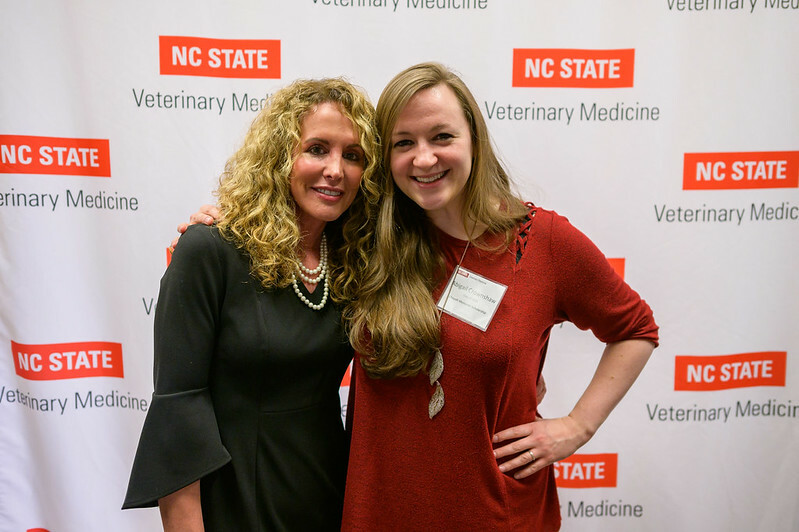 She hopes to focus on the veterinary work that adheres to the One Health philosophy, that animal, human and environmental health are intimately linked. 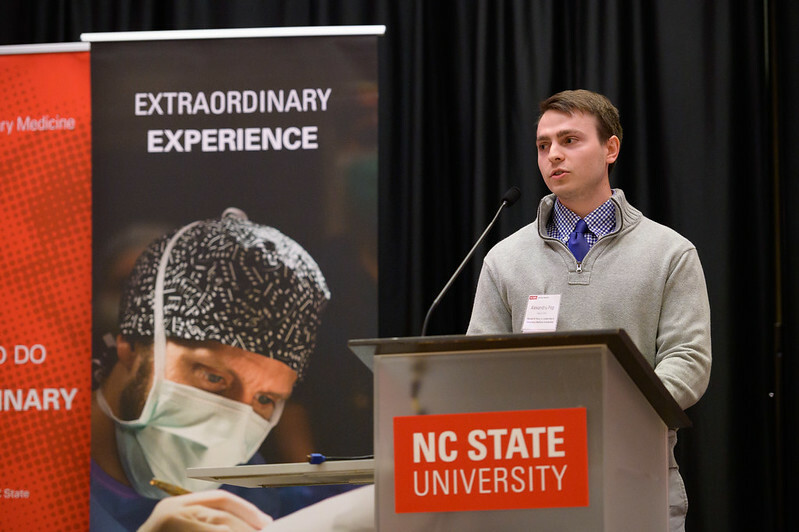 Alexandru Pop, recipient of the Randall B. Terry, Jr. 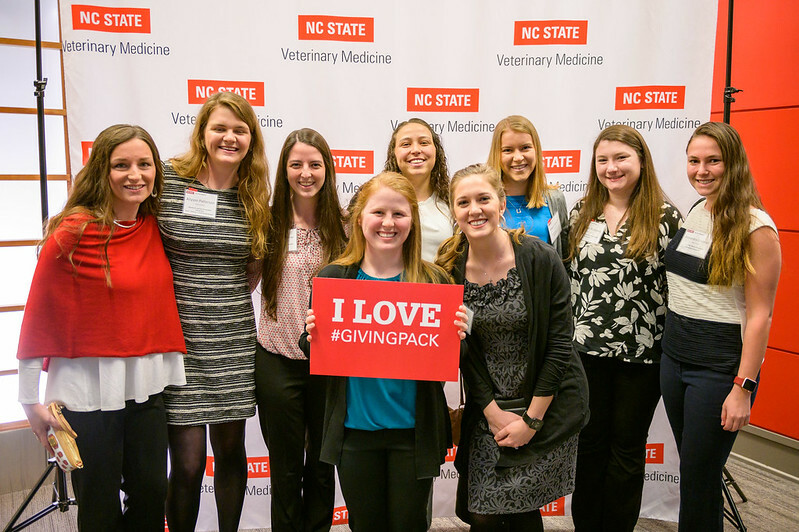 Leadership in Veterinary Medicine Scholarship. 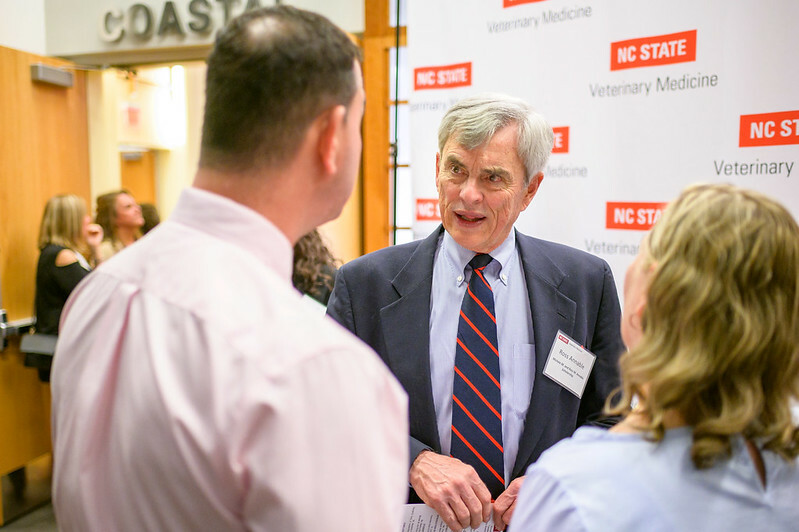 Pop, the recipient of the Randall B. Terry, Jr. 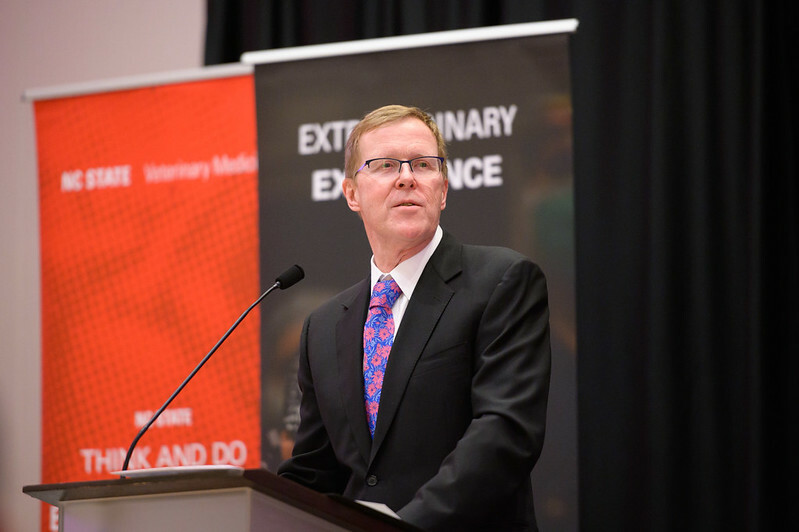 Leadership in Veterinary Medicine Scholarship, said that he was proud and humbled to speak to the dinner guests. 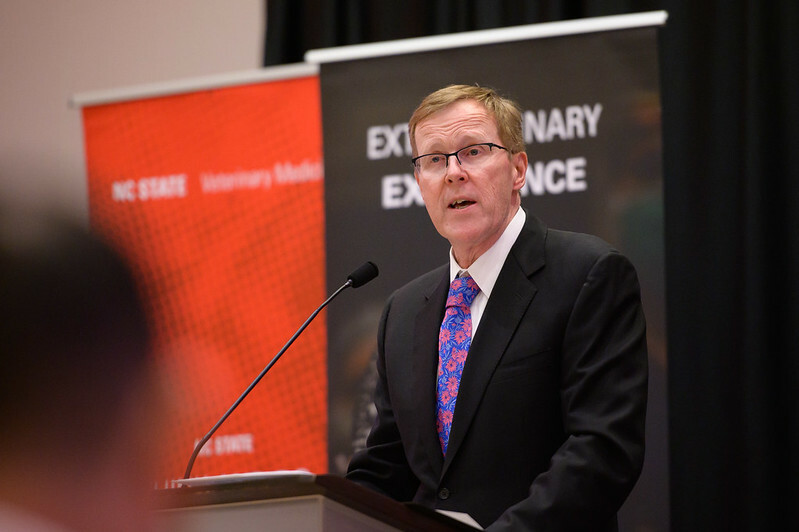 “It is by the courtesy of many in this audience that we’re here,” he said. 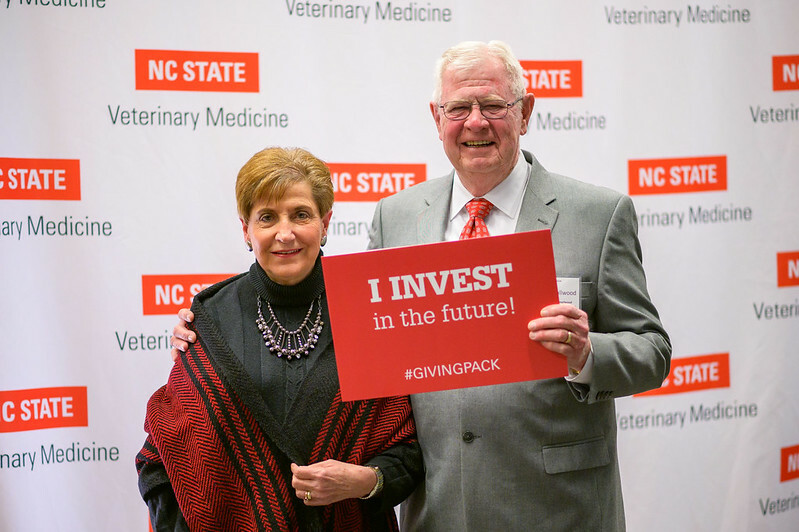 Pop pointed out that scholarships go beyond the benefit of easing the financial burden of veterinary school. 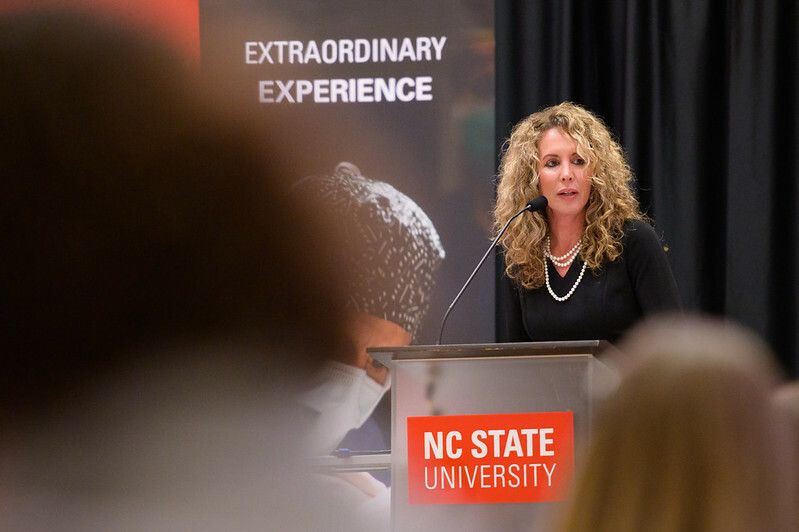 “They also impact a student’s mental health, reducing stress and improving the quality of life even after school. 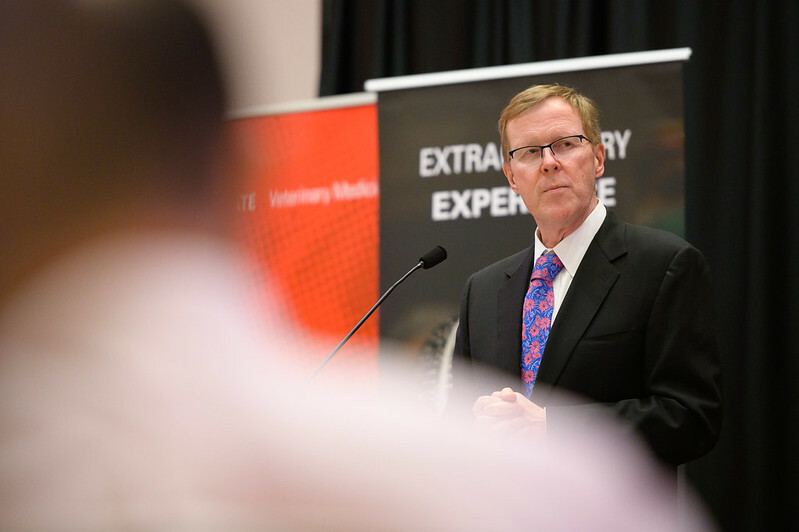 We appreciate you more than words can say,” he said. 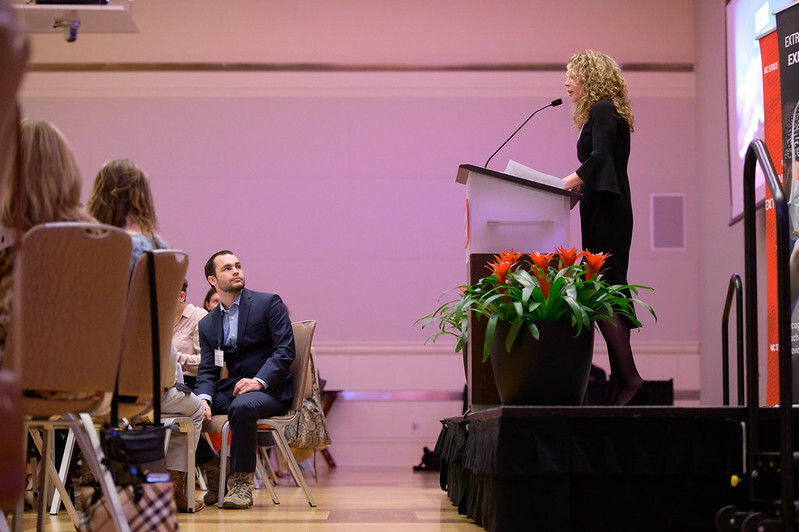 He talked about his family’s emigration from Romania to the United States when he was young and the struggles associated with finding their way in a new country. 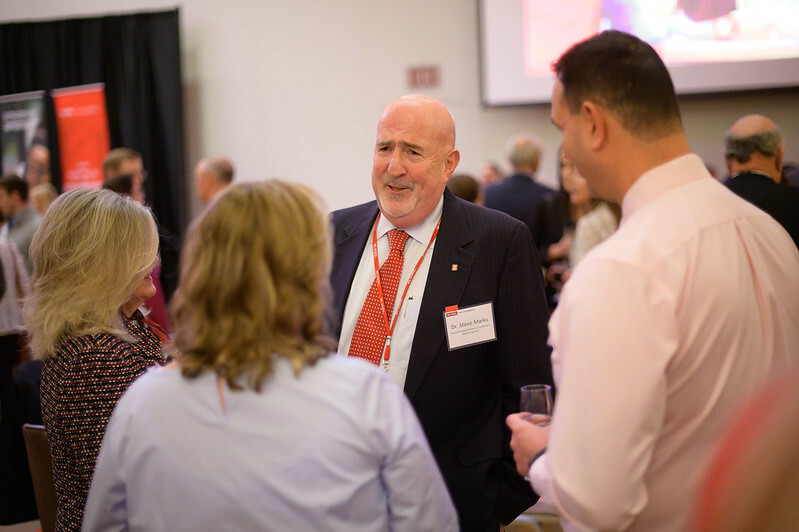 Pop, who is class president, also said he has always had a knack for entrepreneurial leadership. 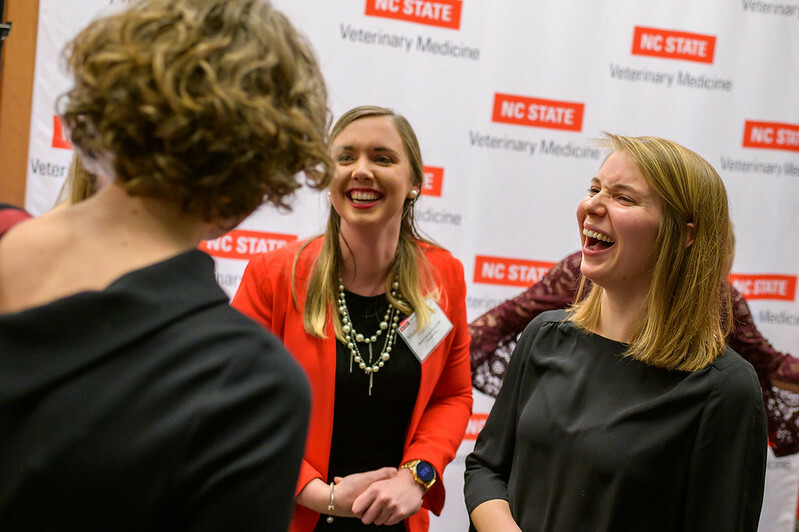 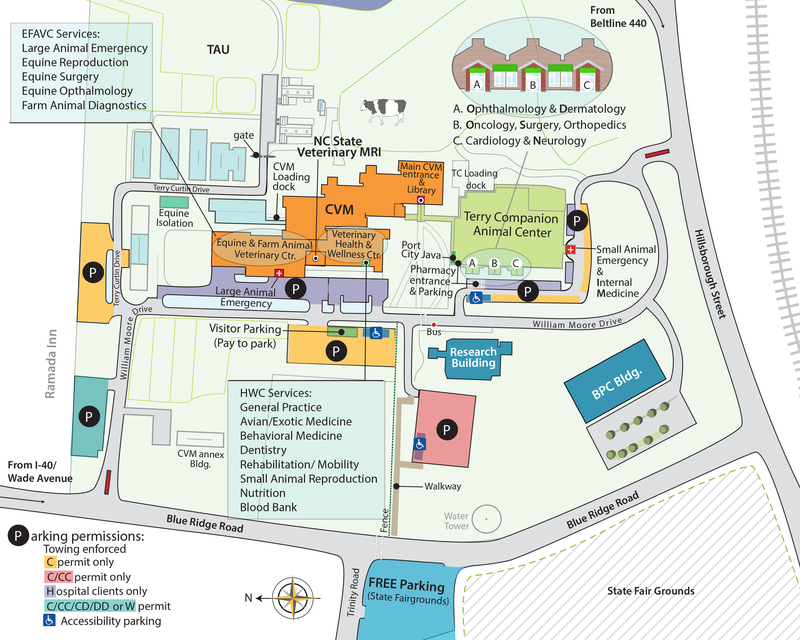 “When I saw that there is a scholarship that rewards entrepreneurship in veterinary medicine, I got excited,” he said. 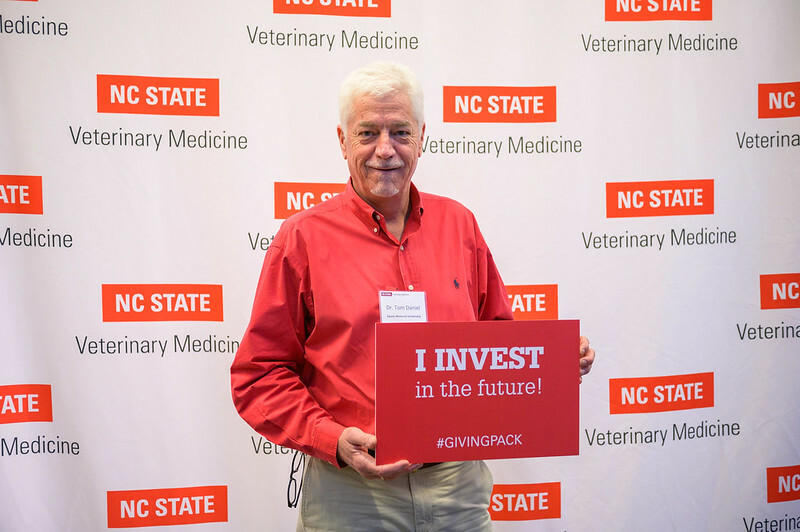 Pop plans on becoming a large animal veterinarian with a focus on international outreach. 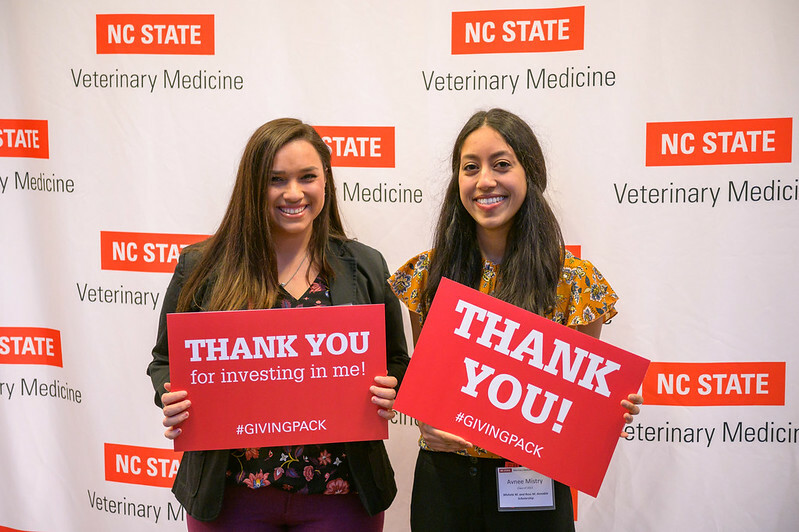 In a thanks to donors, CVM Dean Paul Lunn said that between 2013 and 2017 the amount of scholarship funds available to students had risen from $282,000 to $879,000. 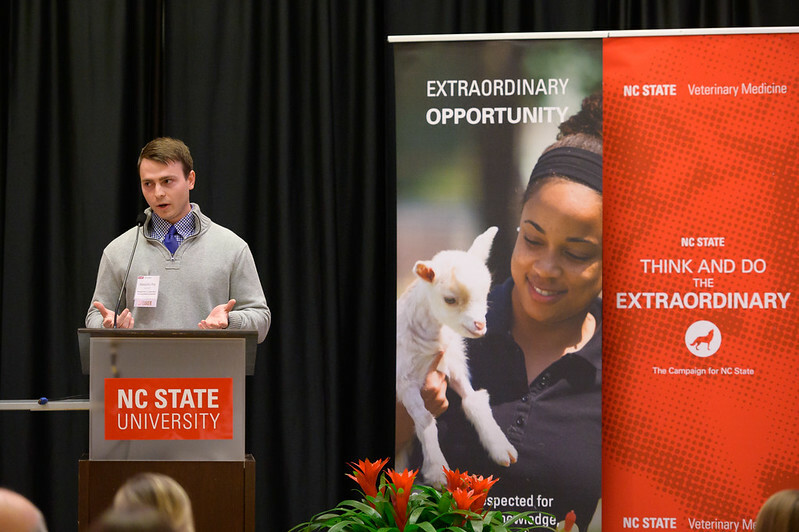 He added that he hopes that figure will exceed $1 million by next year. 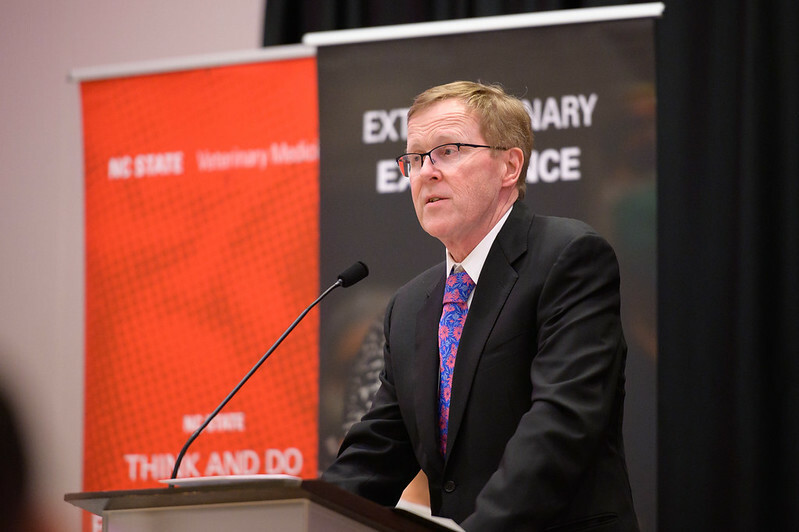 He said that last year, student debt load at the CVM dropped by 10 percent while the average for the rest of the country increased by 10 percent. 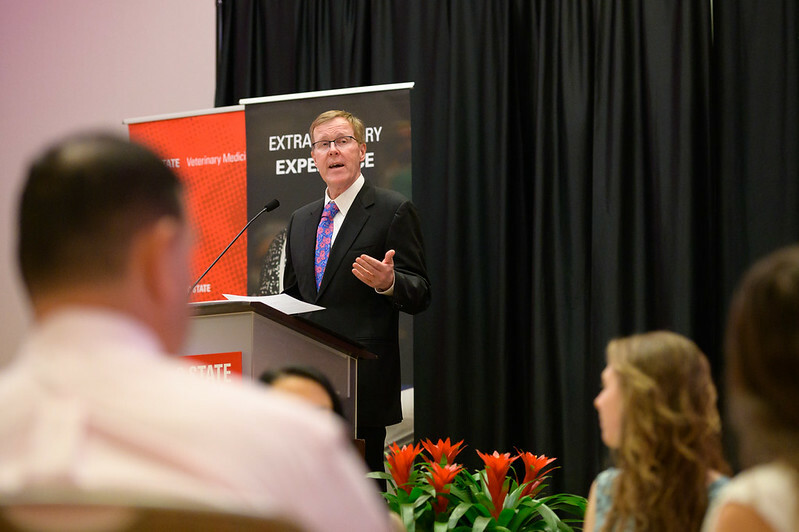 “That affects people, that affects the profession and you play an important role,” he said to donors on their help to ease student debt. 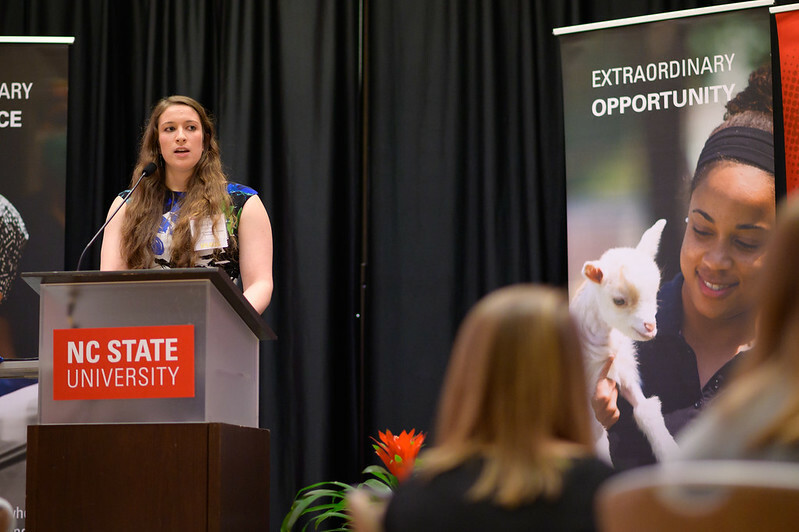 “Scholarships allow someone to reach their potential when they can’t do it alone,” said Pop. 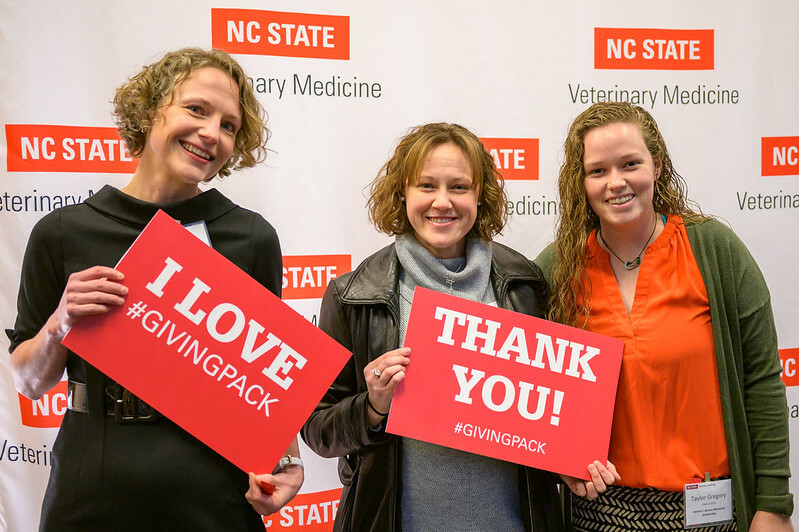 Save the date: Day of Giving is March 27. 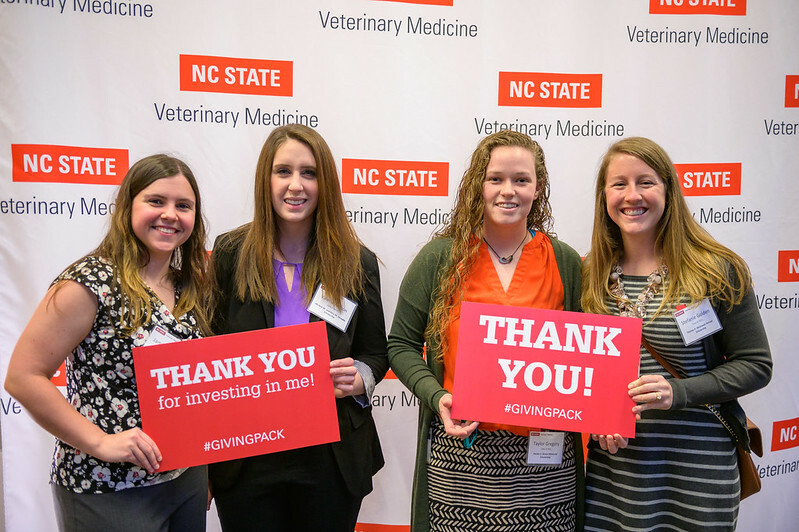 Funds raised on this day will offer additional scholarship opportunities for current and future veterinarians.